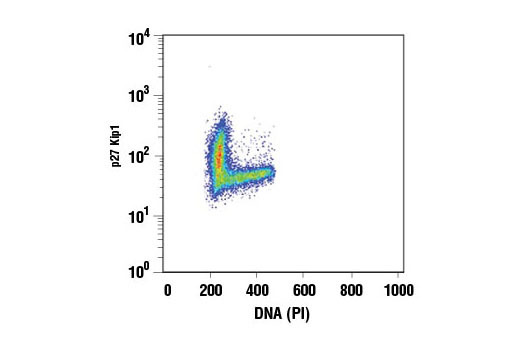 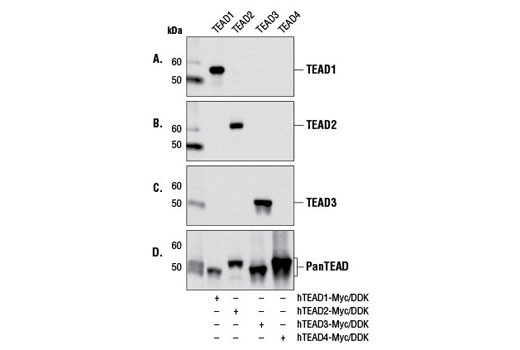 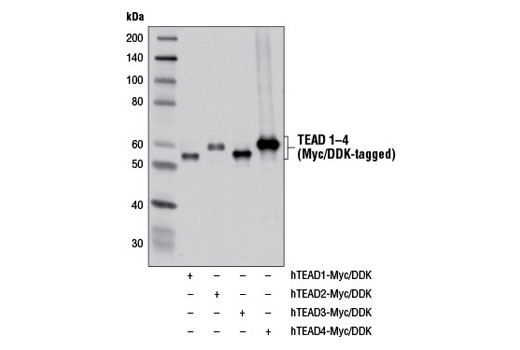 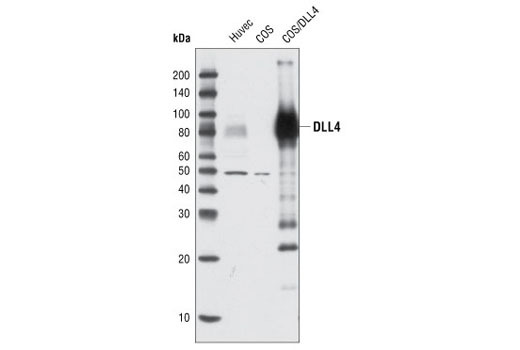 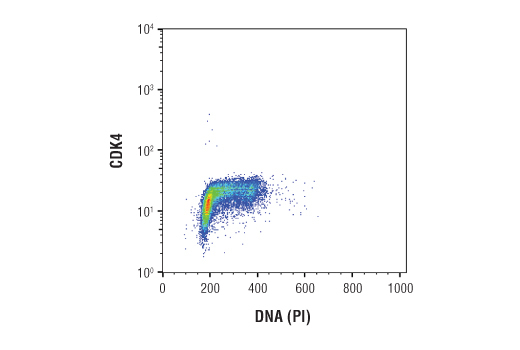 The CDK Antbody Sampler Kit provides and economical means of evaluating Cdk proteins. 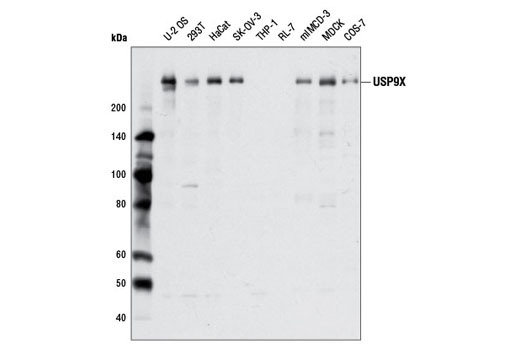 The kit contains enough primary and secondary antibodies to perform two western blot experiments. 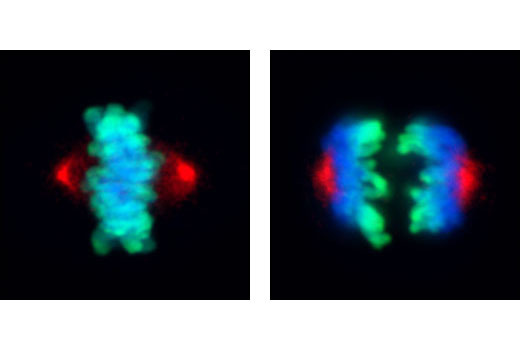 Background: The cell division cycle demands accuracy to avoid the accumulation of genetic damage. 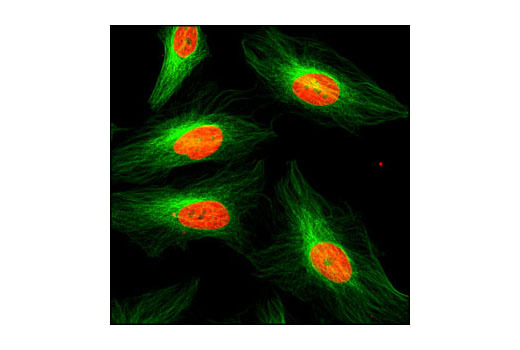 This process is controlled by molecular circuits called "checkpoints" that are common to all eukaryotic cells (1). 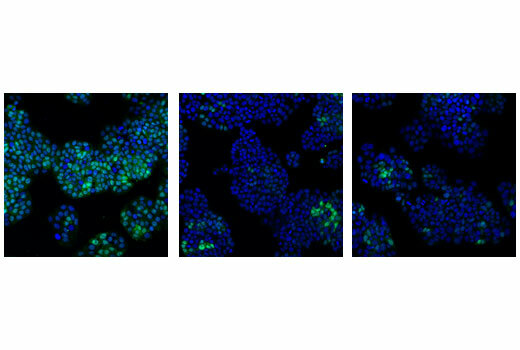 Checkpoints monitor DNA integrity and cell growth prior to replication and division at the G1/S and G2/M transitions, respectively. 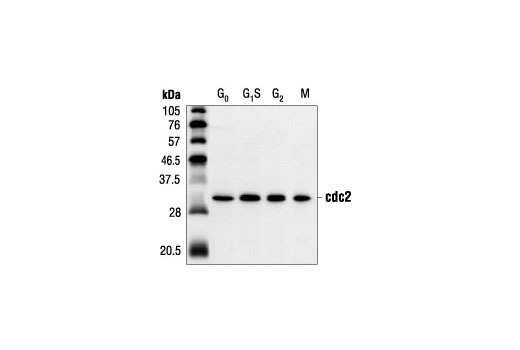 The cdc2-cyclin B kinase is pivotal in regulating the G2/M transition (2,3). 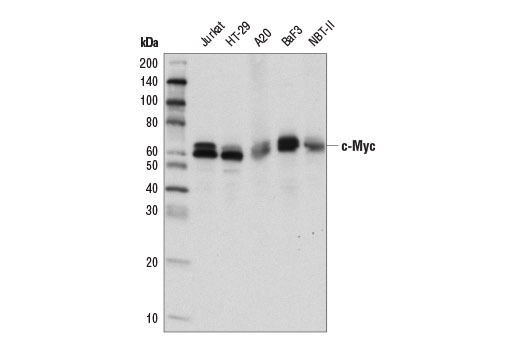 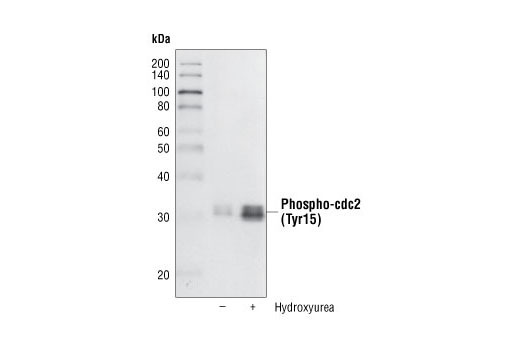 Cdc2 is phosphorylated at Thr14 and Tyr15 during G2-phase by the kinases Wee1 and Myt1, rendering it inactive. 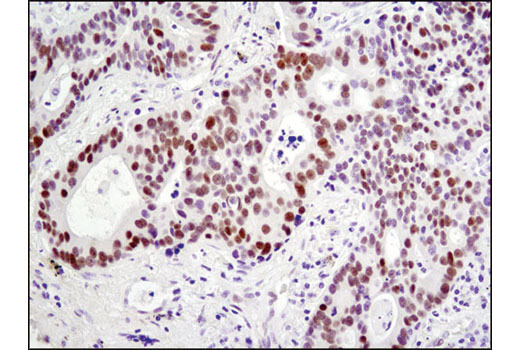 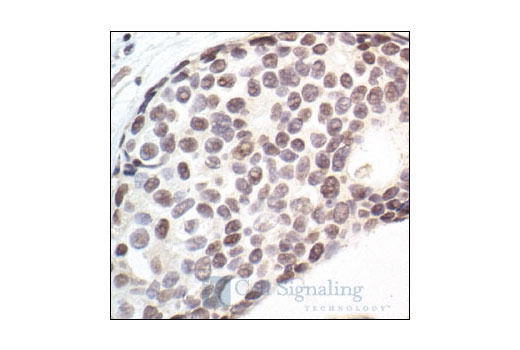 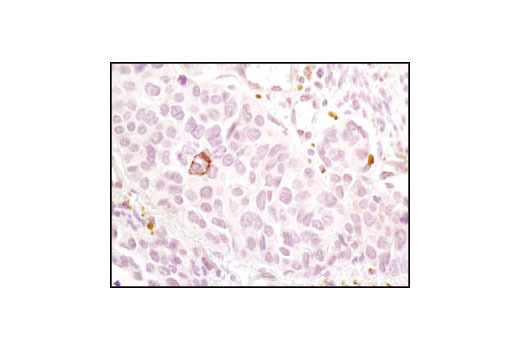 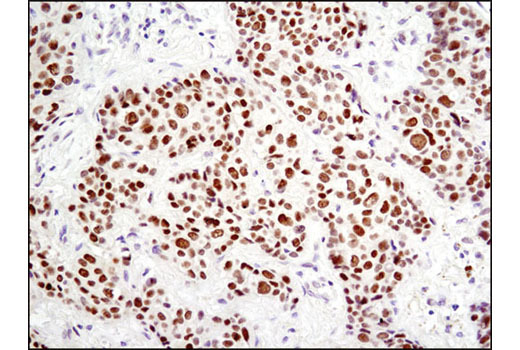 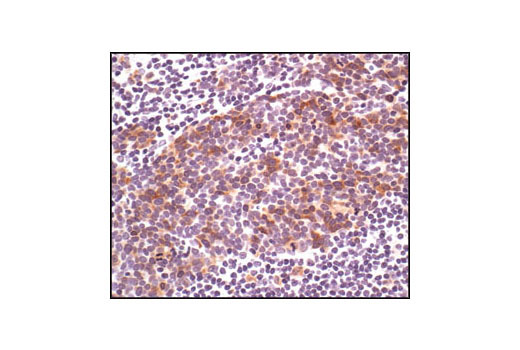 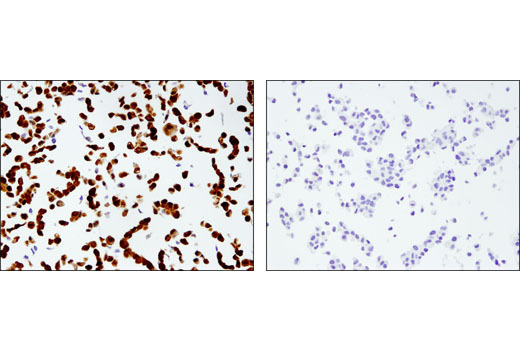 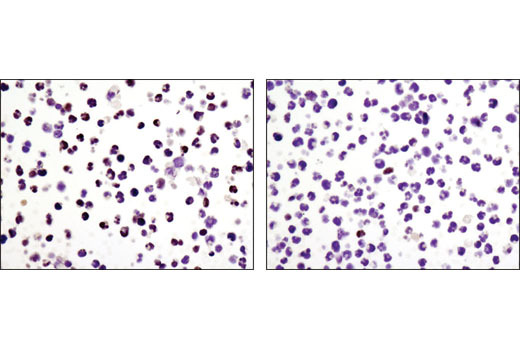 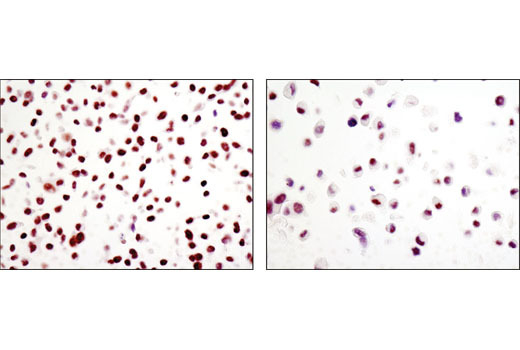 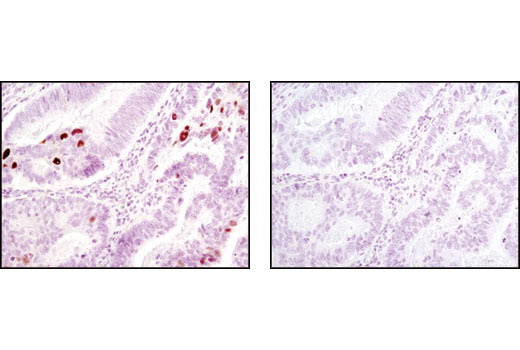 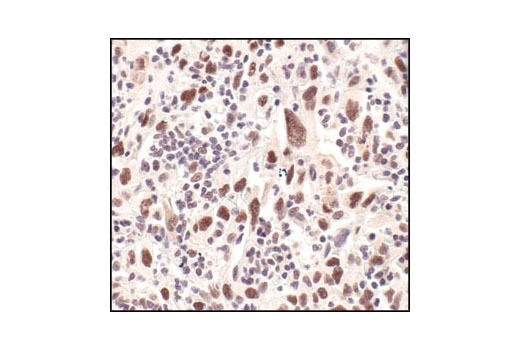 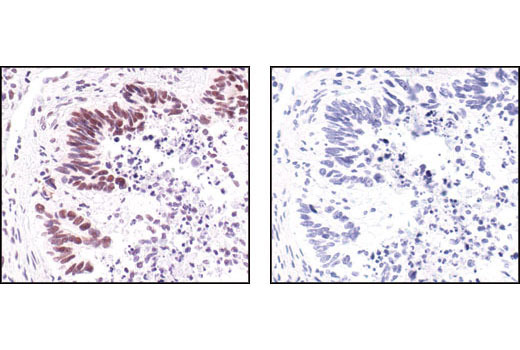 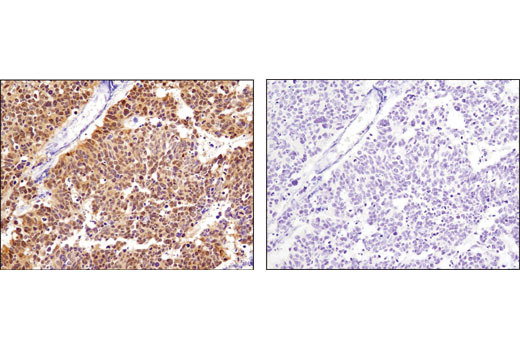 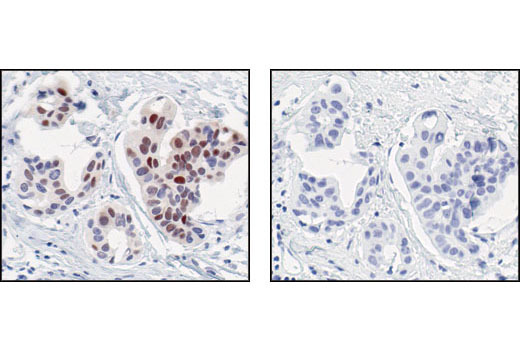 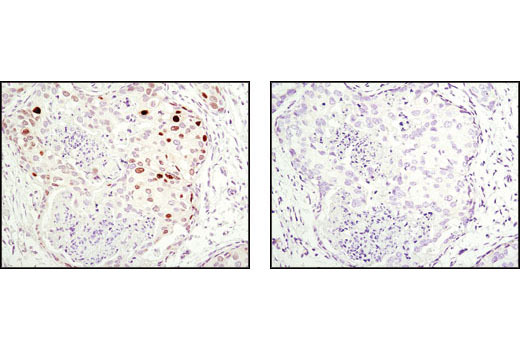 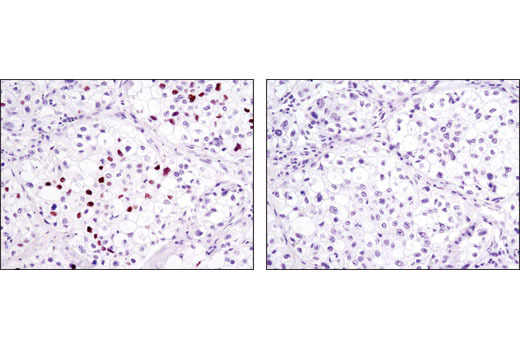 The tumor suppressor protein retinoblastoma (Rb) controls progression through the late G1 restriction point (R) and is a major regulator of the G1/S transition (4). 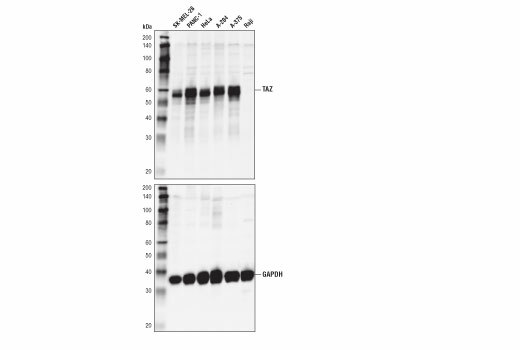 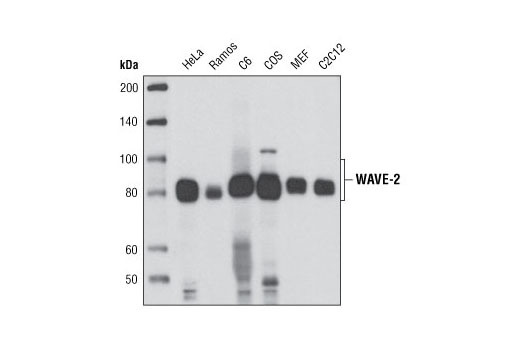 During early and mid G1-phase, Rb binds to and represses the transcription factor E2F (5). 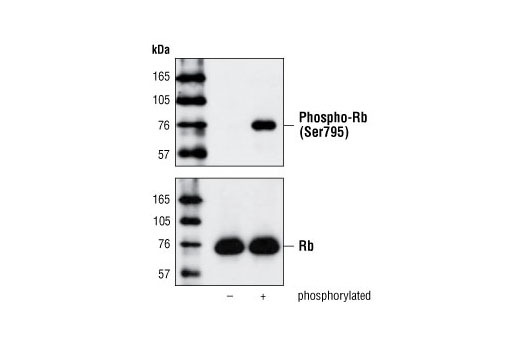 The phosphorylation of Rb late in G1-phase by CDKs induces Rb to dissociate from E2F, permitting the transcription of S-phase-promoting genes. 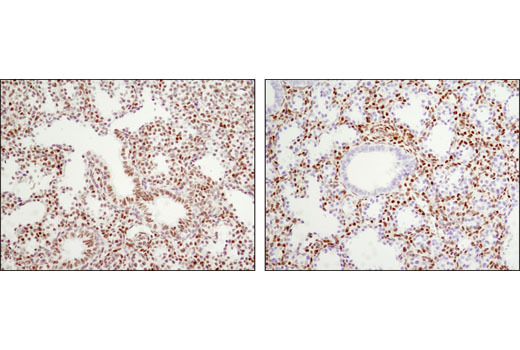 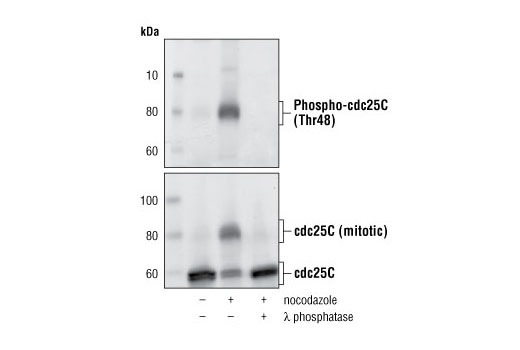 In vitro, Rb can be phosphorylated at multiple sites by cdc2, cdk2, and cdk4/6 (6-8). 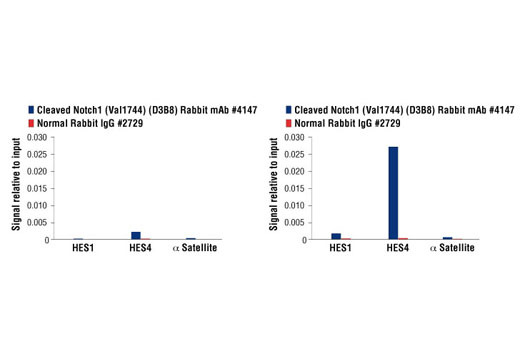 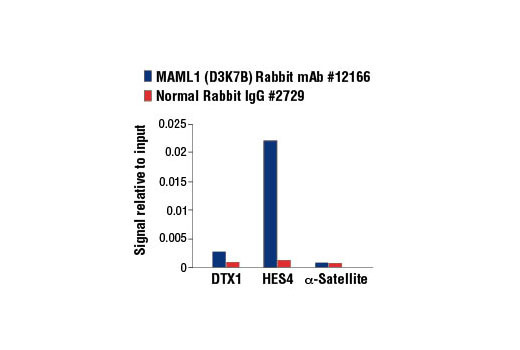 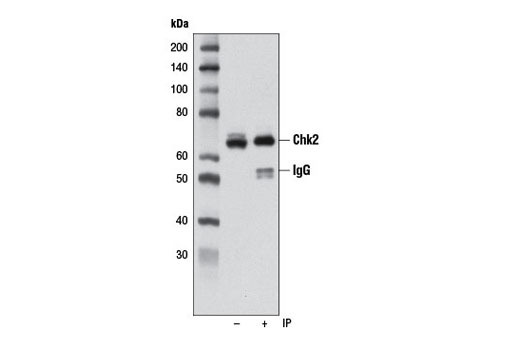 DNA damage triggers both the G2/M and the G1/S checkpoints. 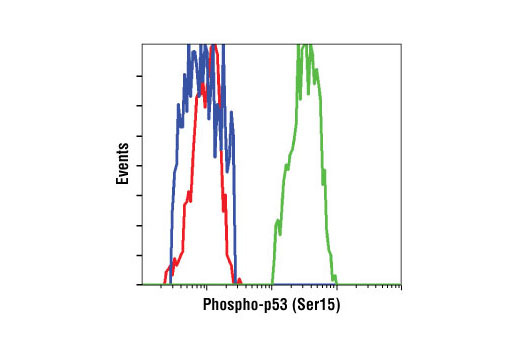 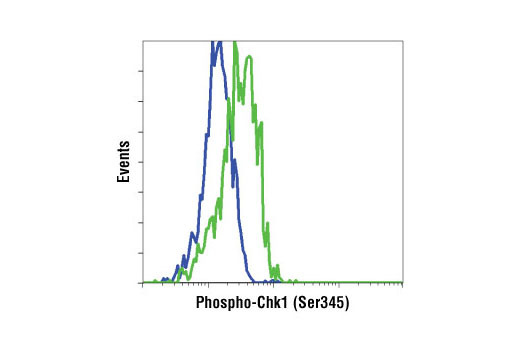 DNA damage activates the DNA-PK/ATM/ATR kinases, which phosphorylate Chk at Ser345 (9), Chk2 at Thr68 (10) and p53 (11). 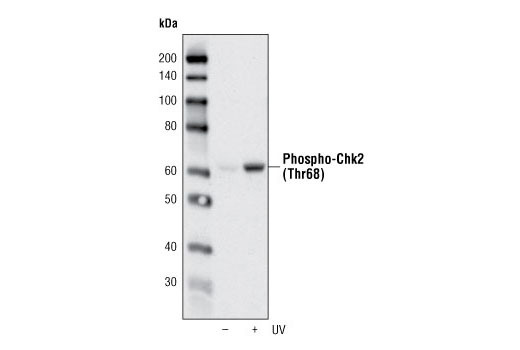 The Chk kinases inactivate cdc25 via phosphorylation at Ser216, blocking the activation of cdc2. 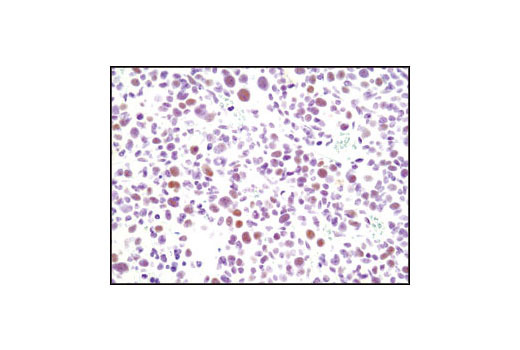 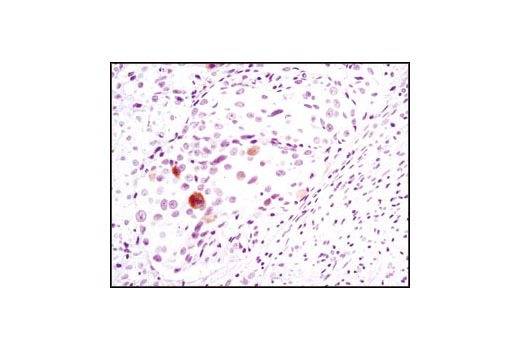 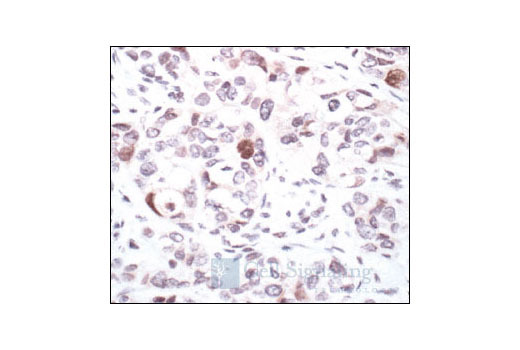 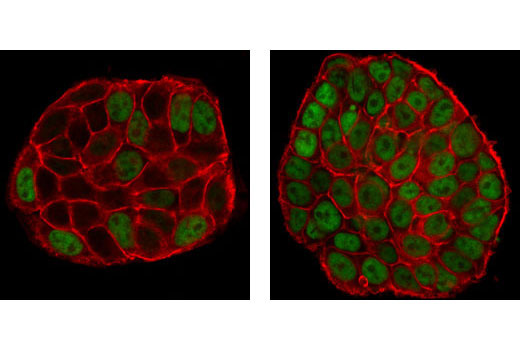 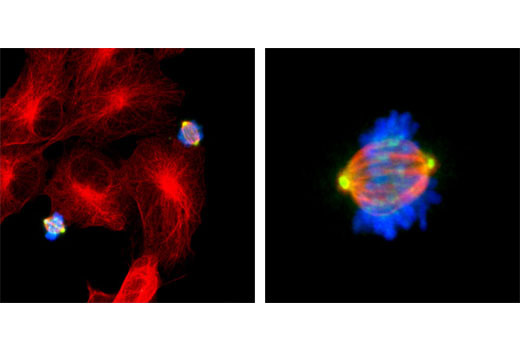 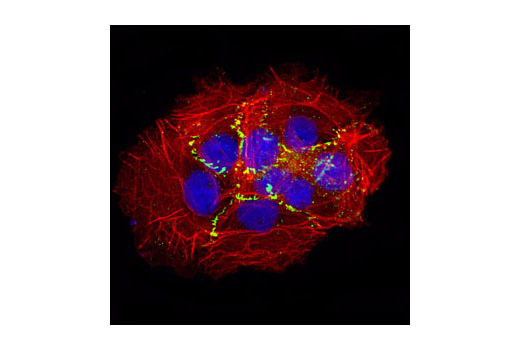 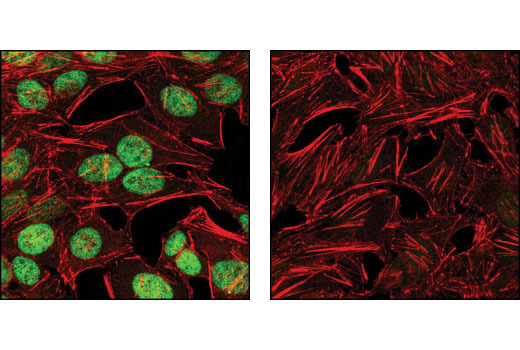 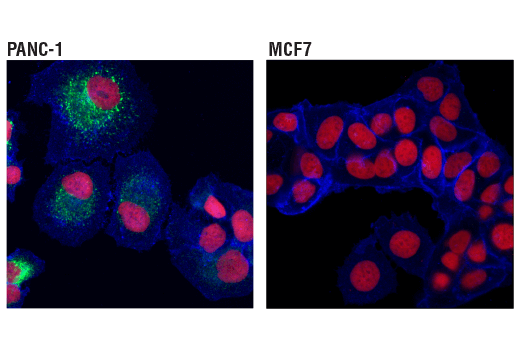 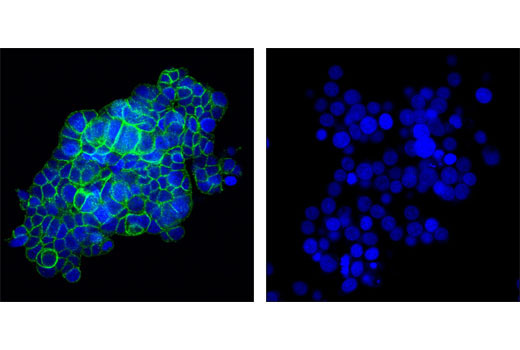 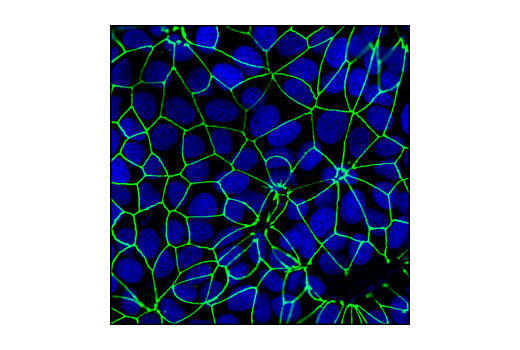 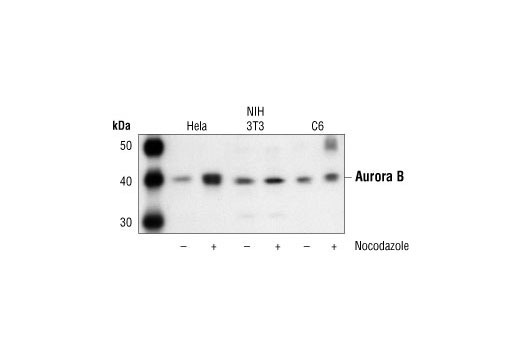 The cdc25C Antibody Sampler Kit provides an economical means to investigate the entry of eukaryotic cells into mitosis. 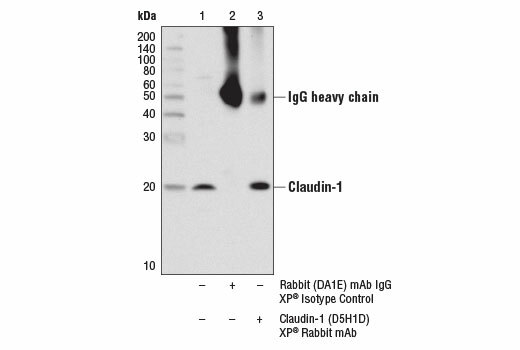 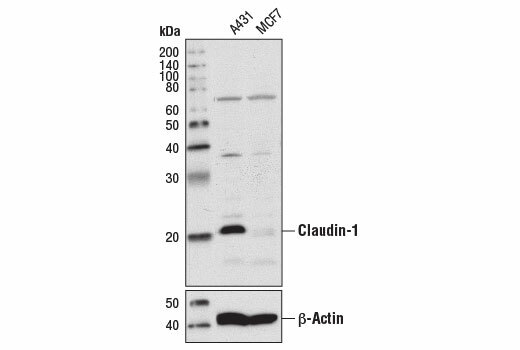 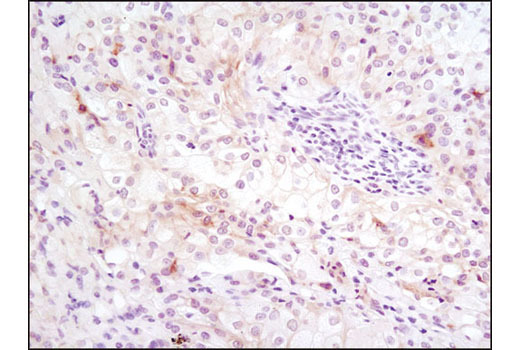 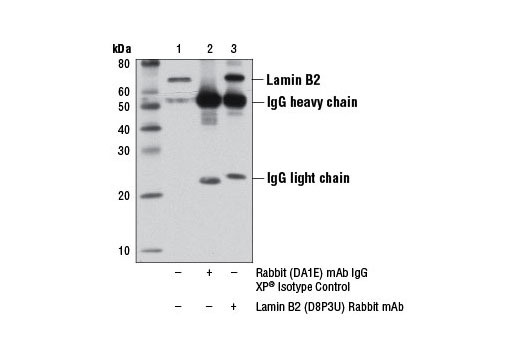 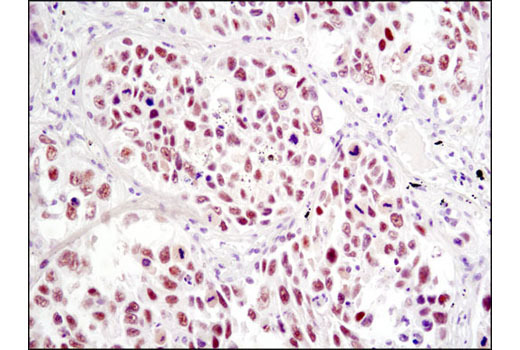 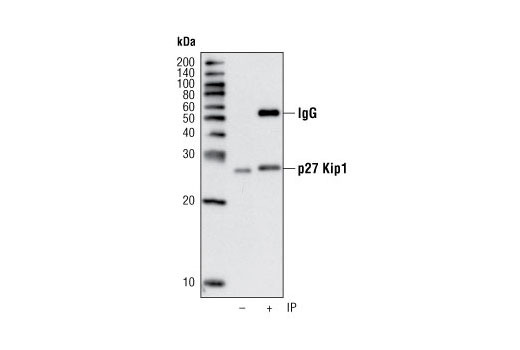 The kit contains enough primary and secondary antibodies to perform two Western blots with each antibody. 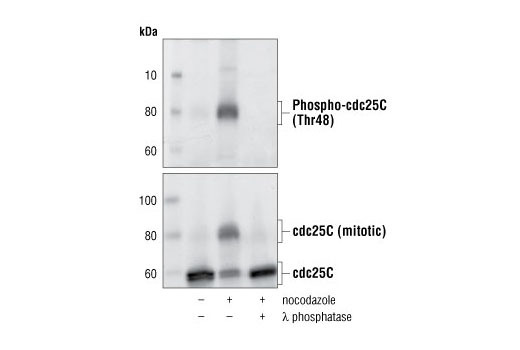 Background: Cdc25 is a protein phosphatase responsible for dephosphorylating and activating cdc2, a crucial step in regulating the entry of all eukaryotic cells into mitosis (1). 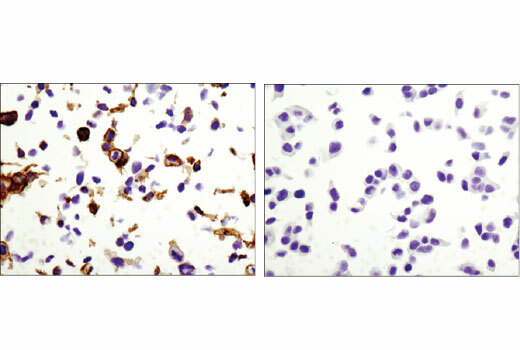 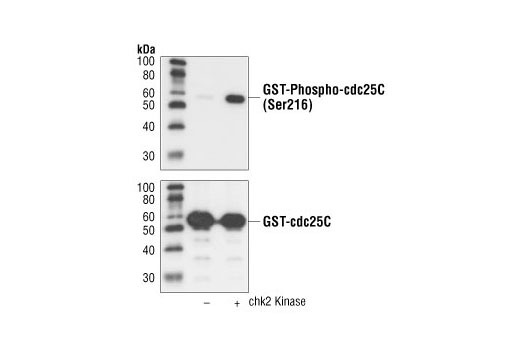 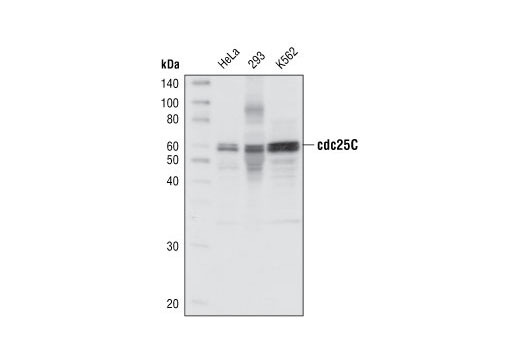 cdc25C is constitutively phosphorylated at Ser216 throughout interphase by c-TAK1, while phosphorylation at this site is DNA damage-dependent at the G2/M checkpoint (2). 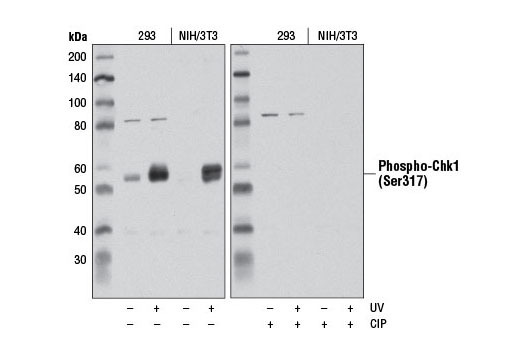 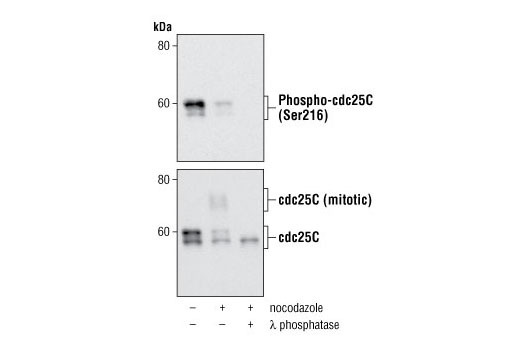 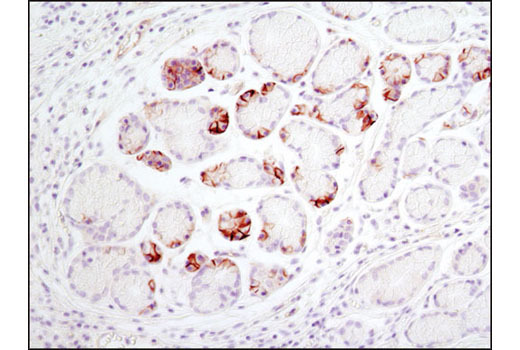 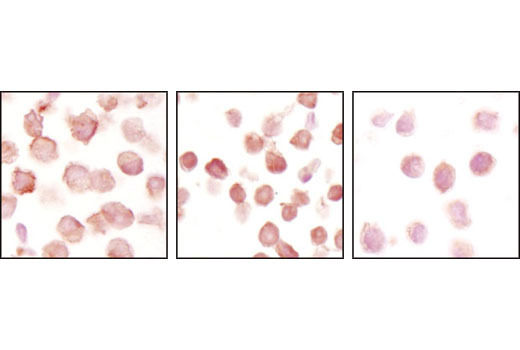 When phosphorylated at Ser216, cdc25C binds to members of the 14-3-3 family of proteins, sequestering cdc25C in the cytoplasm and thereby preventing premature mitosis (3). 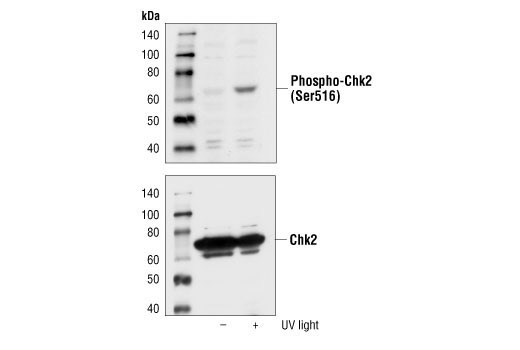 The checkpoint kinases Chk1 and Chk2 phosphorylate cdc25C at Ser216 in response to DNA damage (4,5). 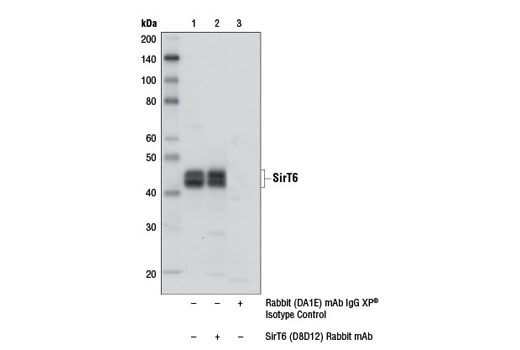 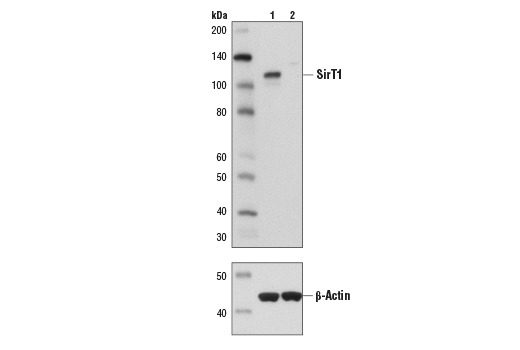 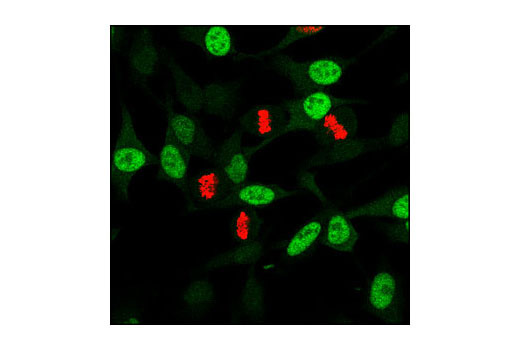 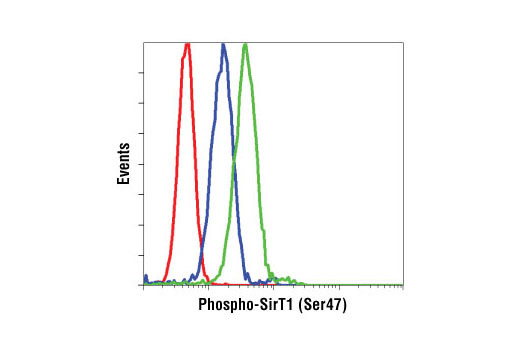 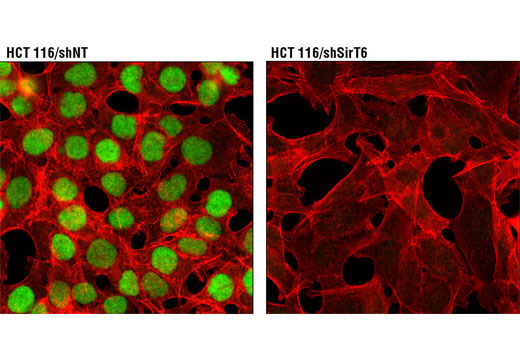 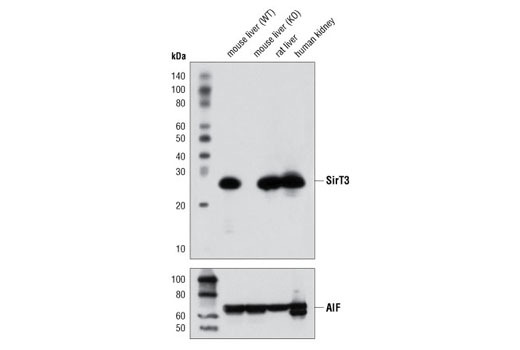 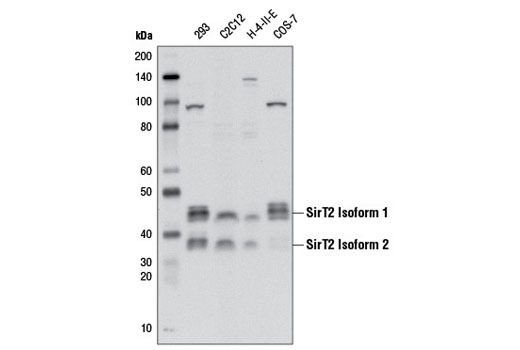 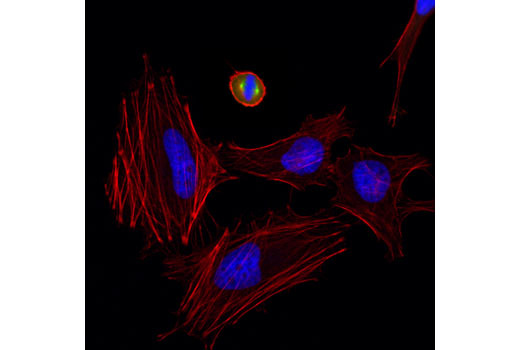 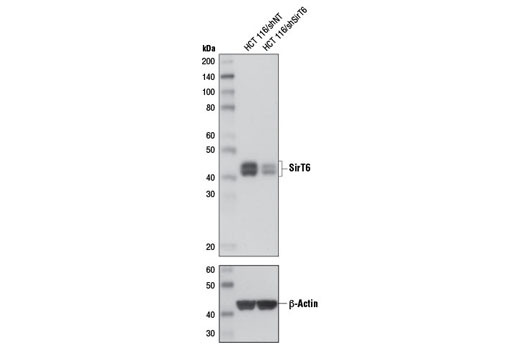 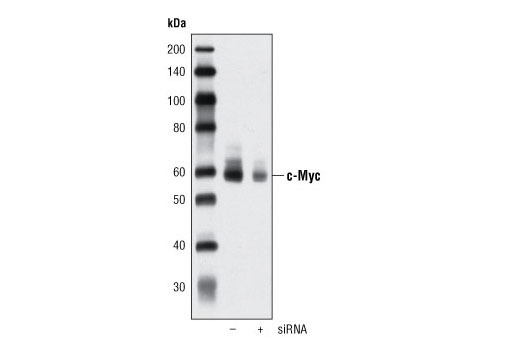 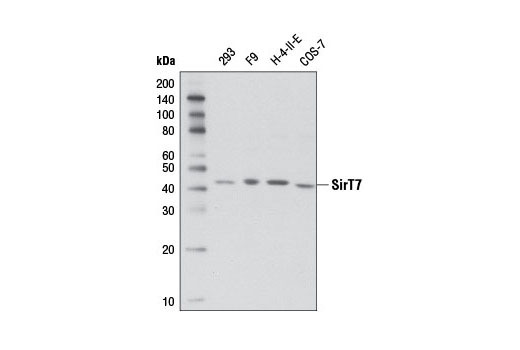 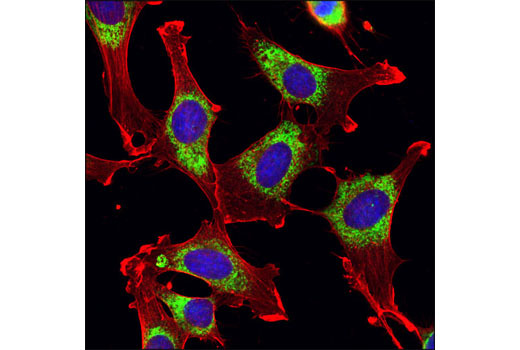 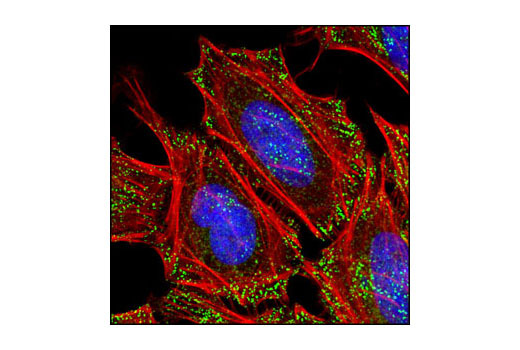 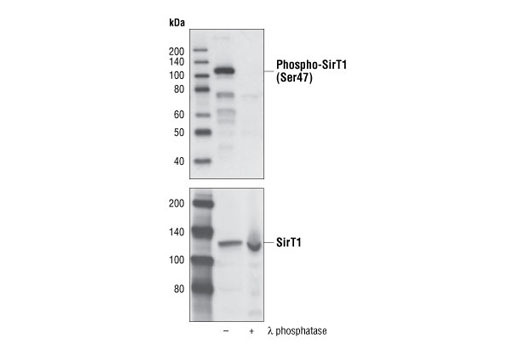 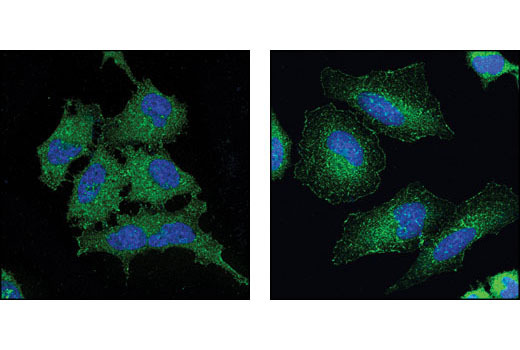 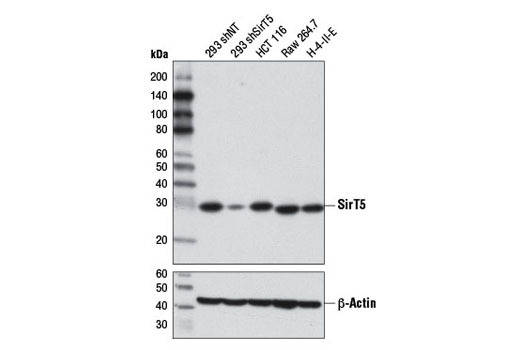 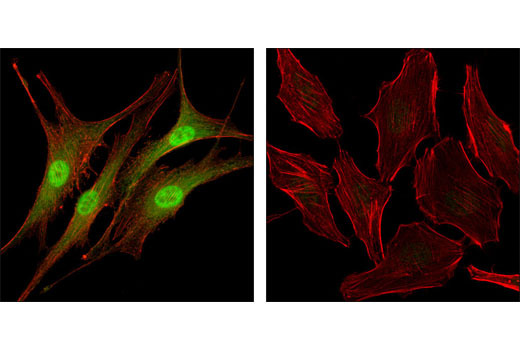 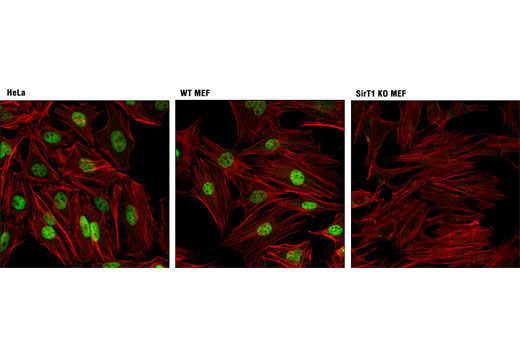 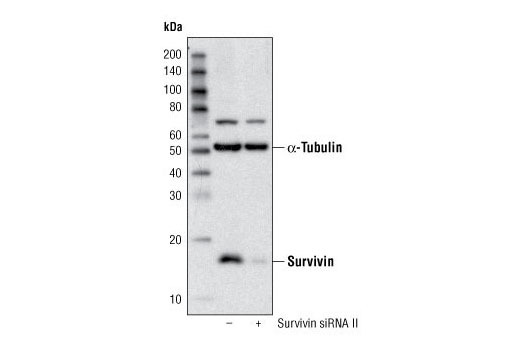 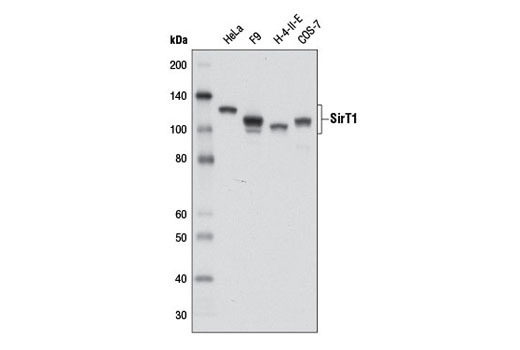 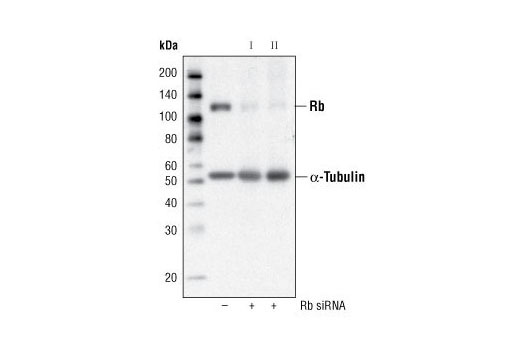 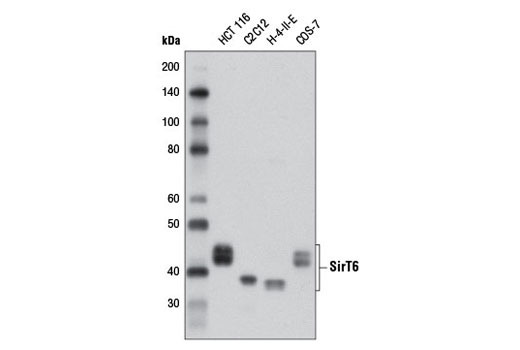 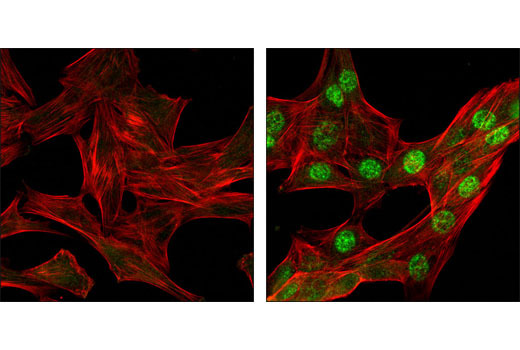 The Sirtuin Antibody Sampler Kit provides an economical means of evaluating total levels of sirtuin proteins. 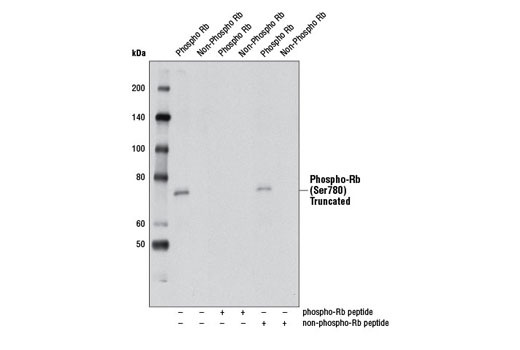 The kit includes enough antibody to perform at least two western blot experiments with each primary antibody. 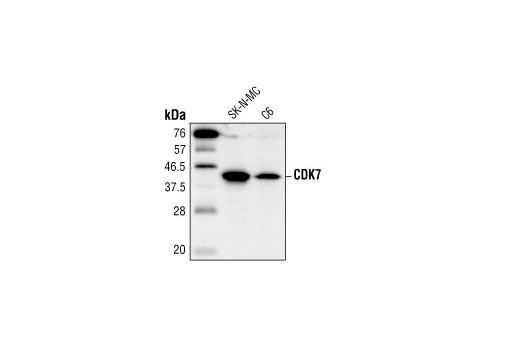 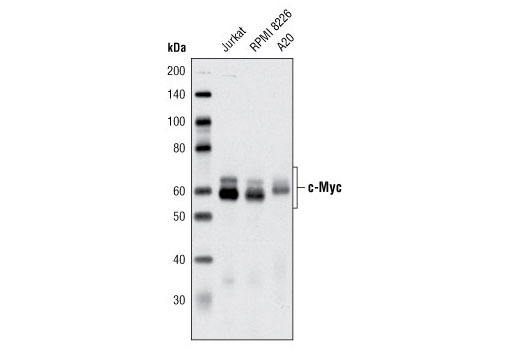 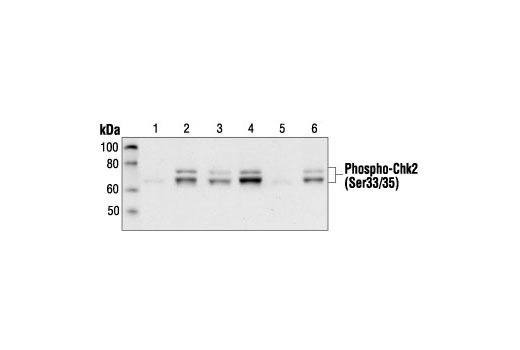 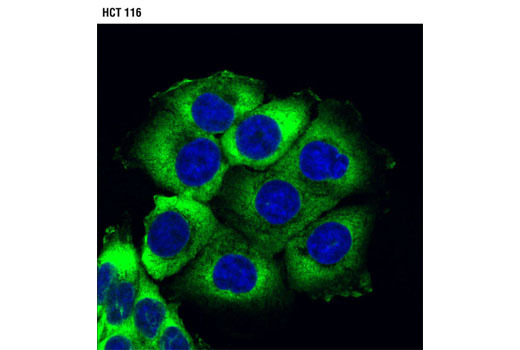 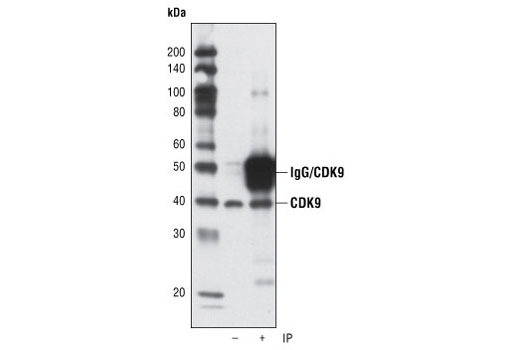 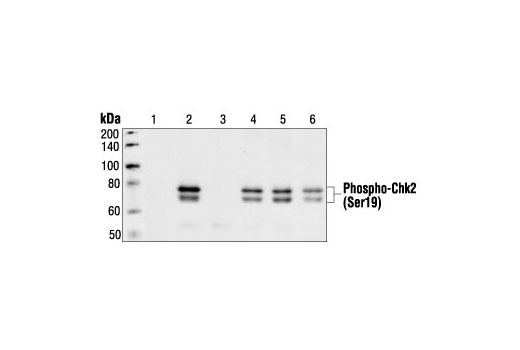 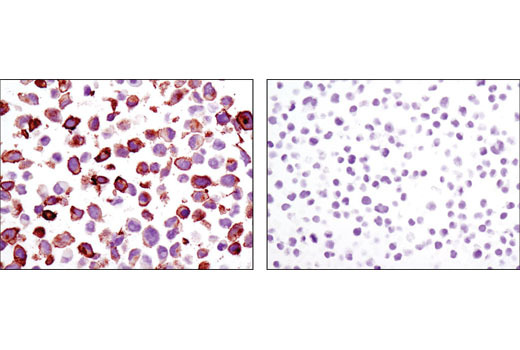 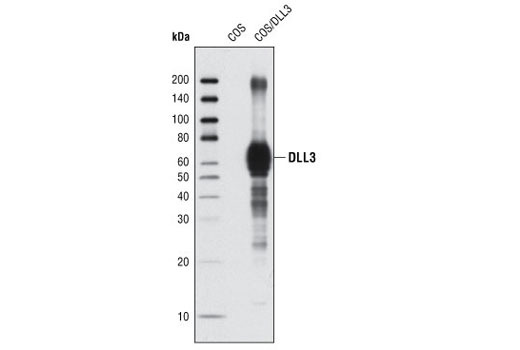 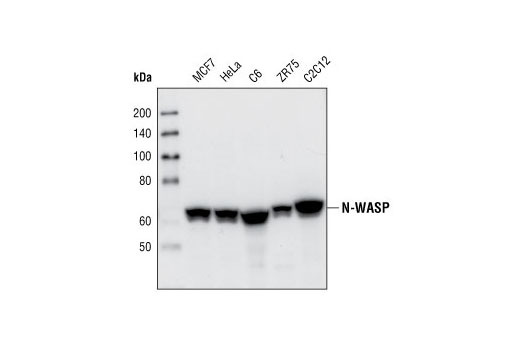 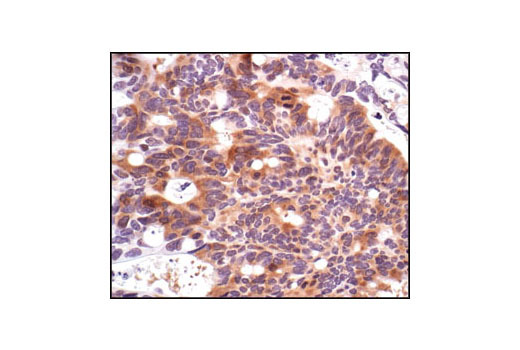 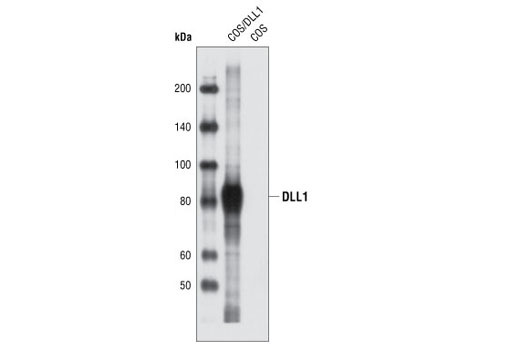 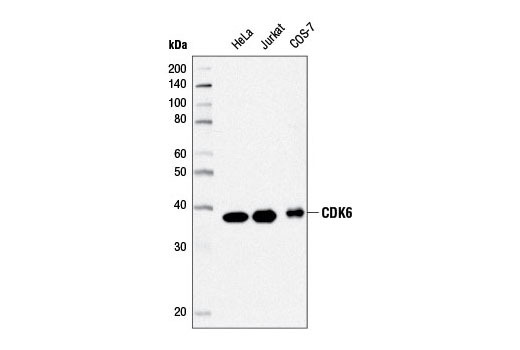 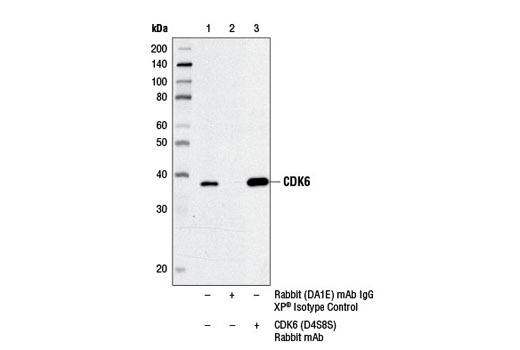 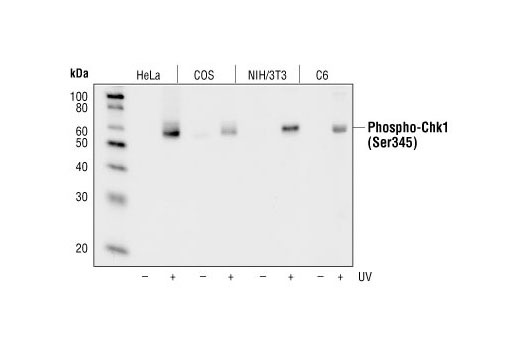 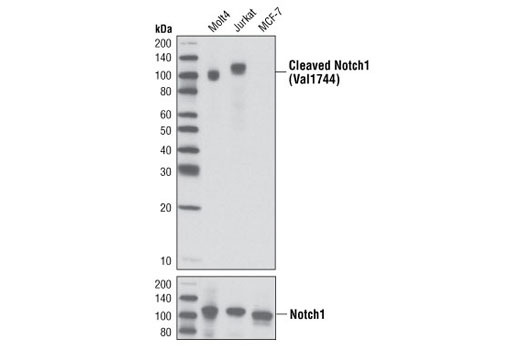 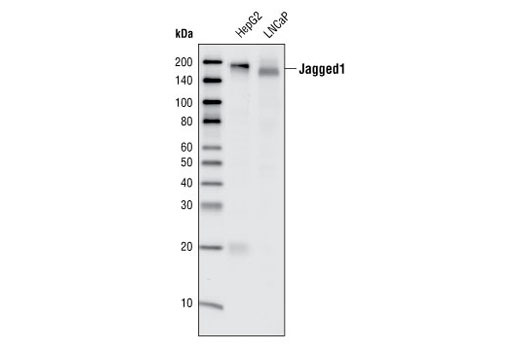 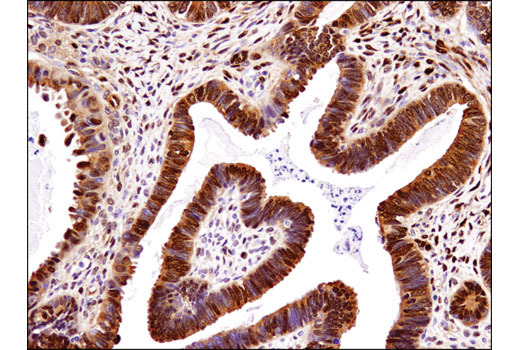 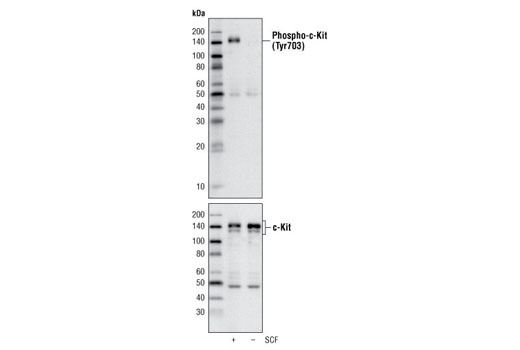 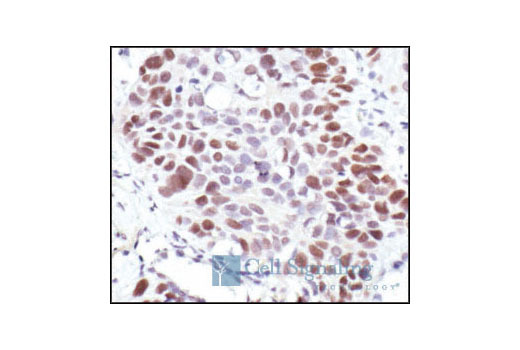 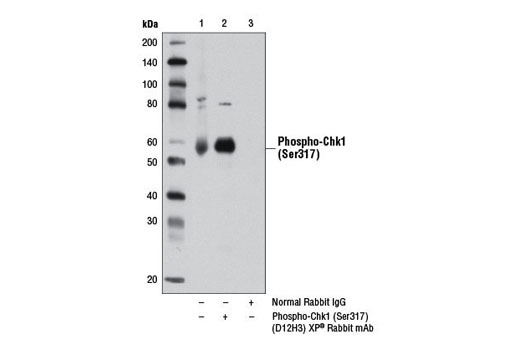 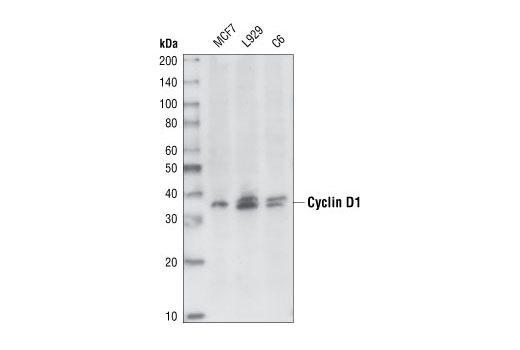 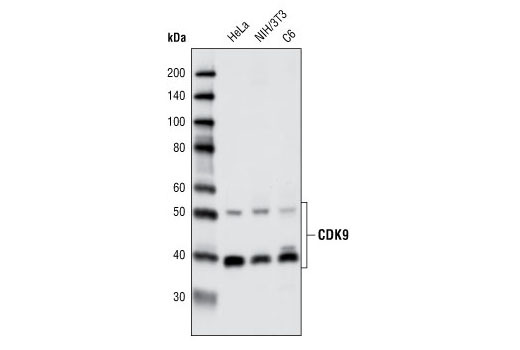 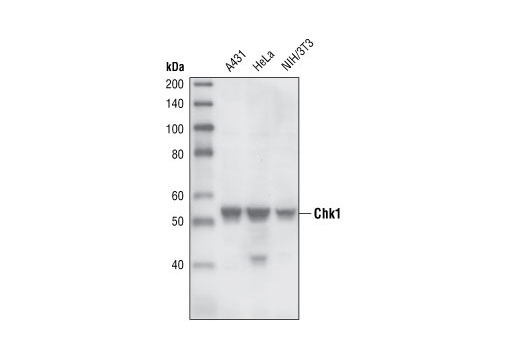 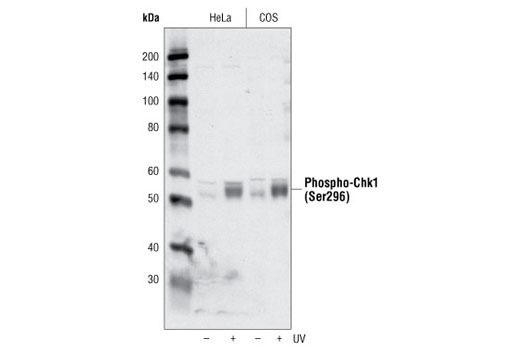 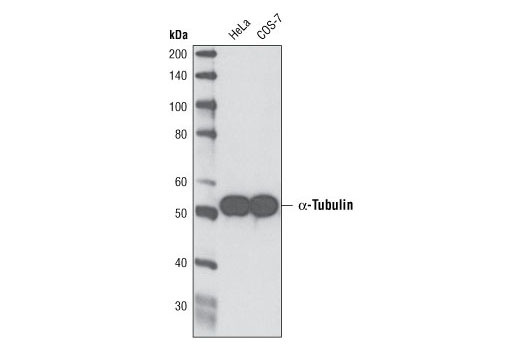 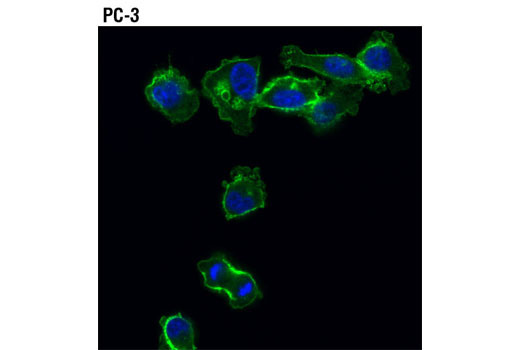 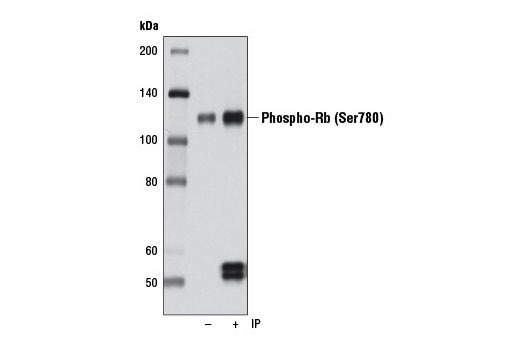 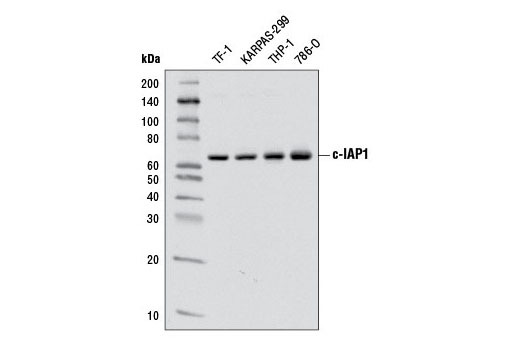 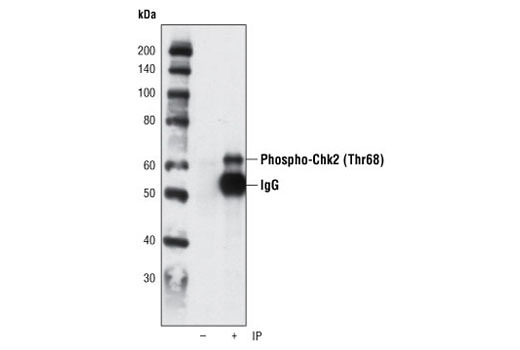 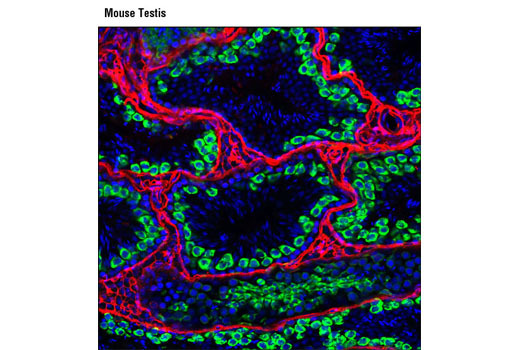 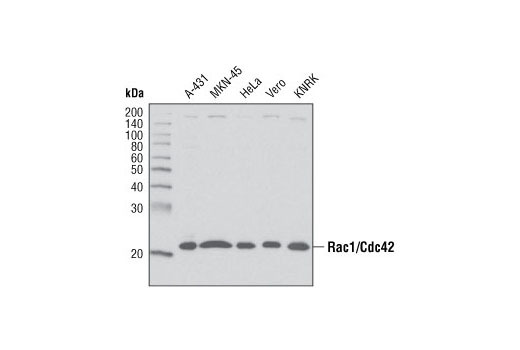 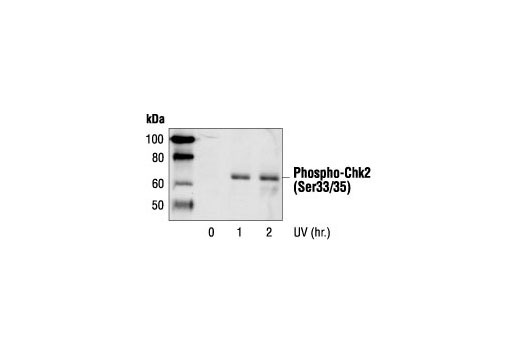 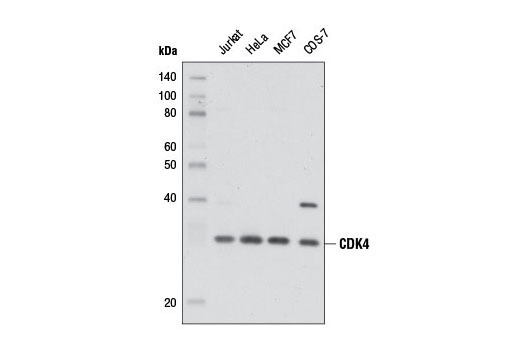 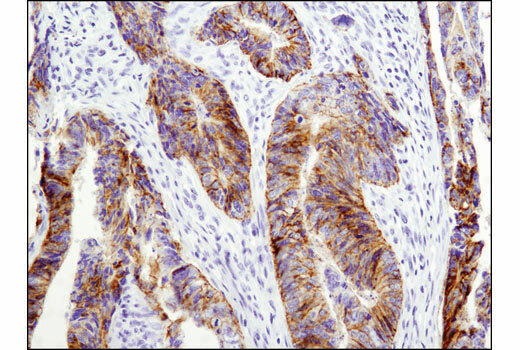 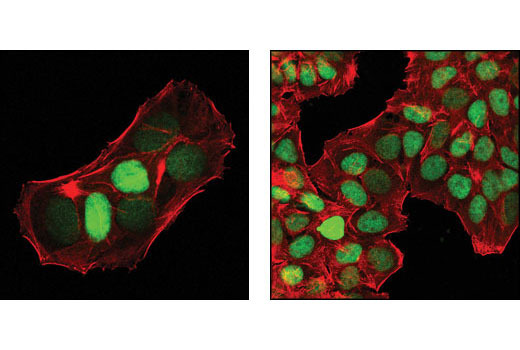 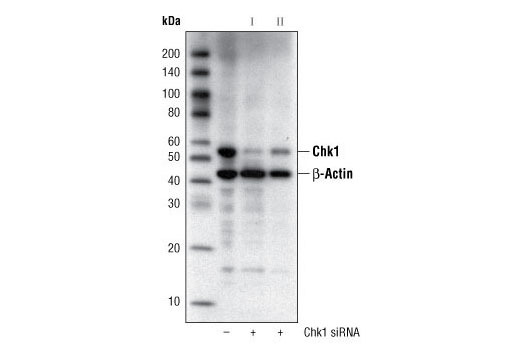 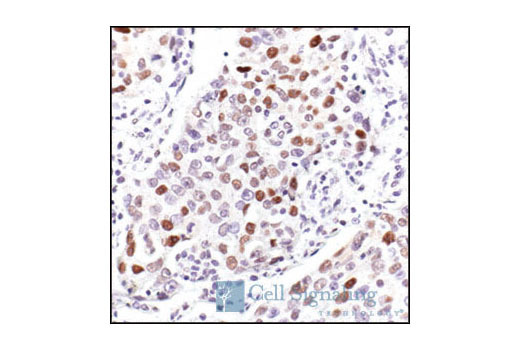 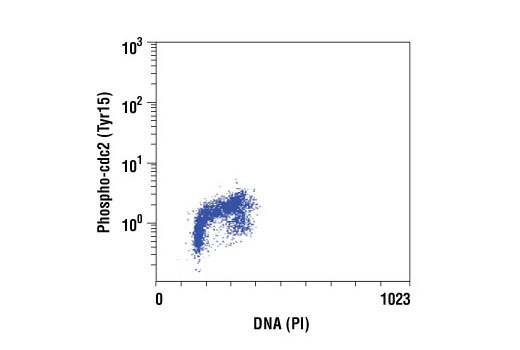 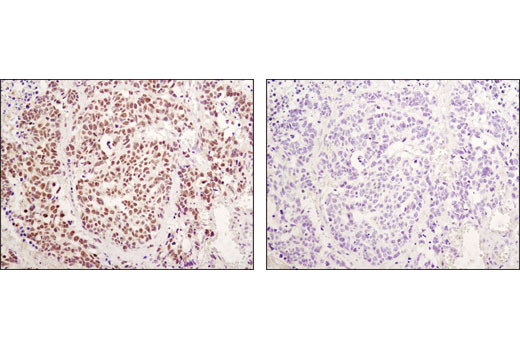 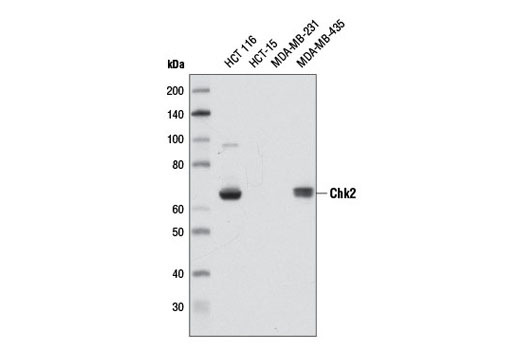 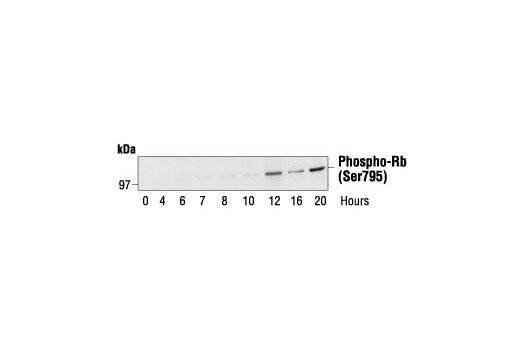 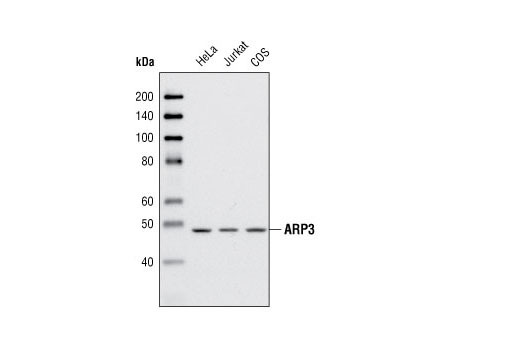 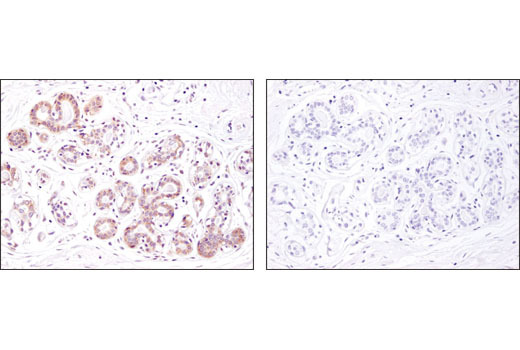 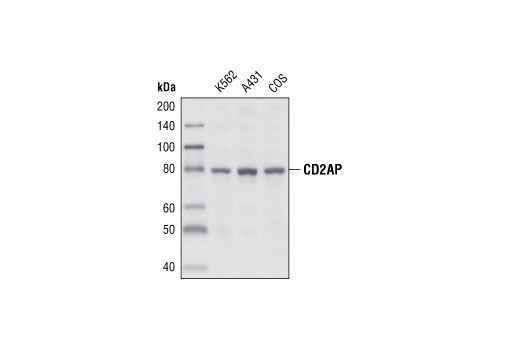 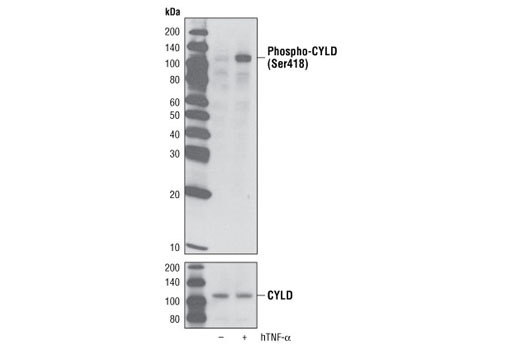 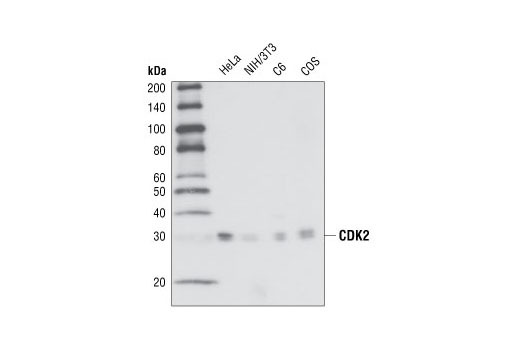 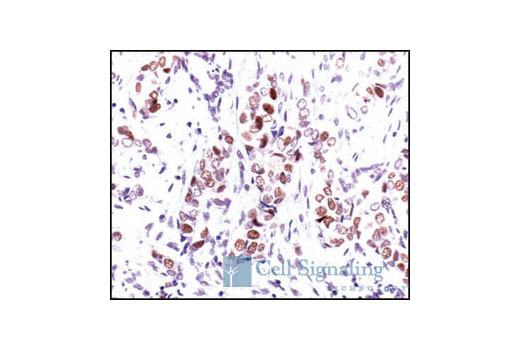 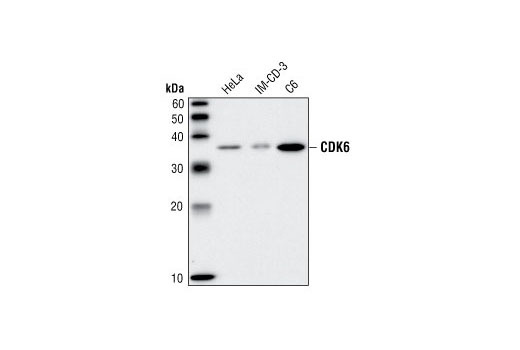 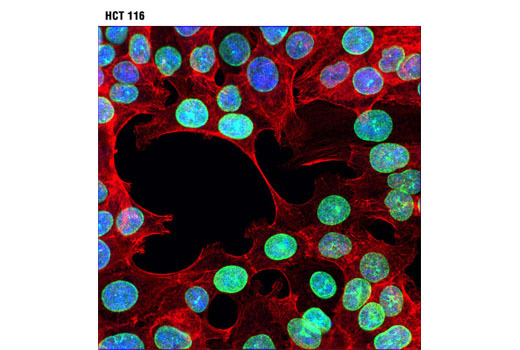 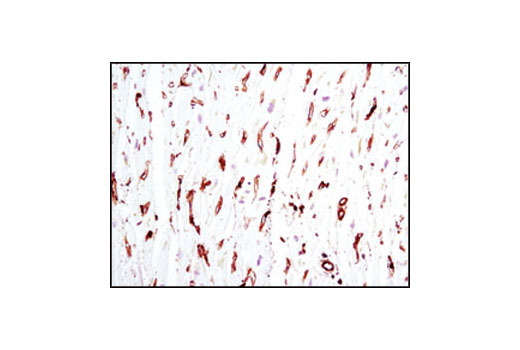 The c-Kit Antibody Sampler Kit provides a fast and economical means of evaluating levels of c-Kit receptor protein phosphorylated at the specified sites, as well as total c-Kit receptor levels. 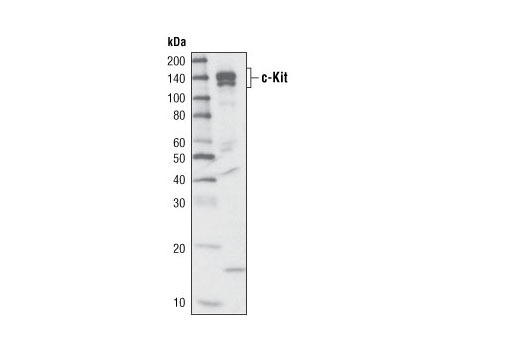 The kit contains enough primary and secondary antibody to perform two Western blot experiments. 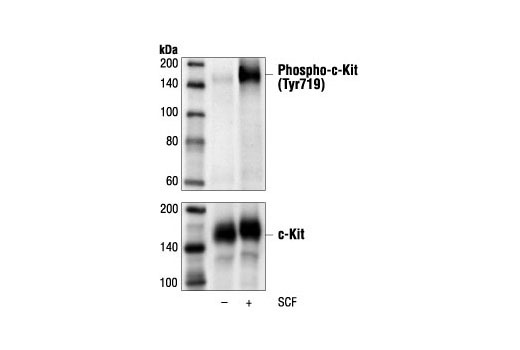 Background: c-Kit is a member of the subfamily of receptor tyrosine kinases that includes PDGF, CSF-1, and FLT3/flk-2 receptors (1,2). 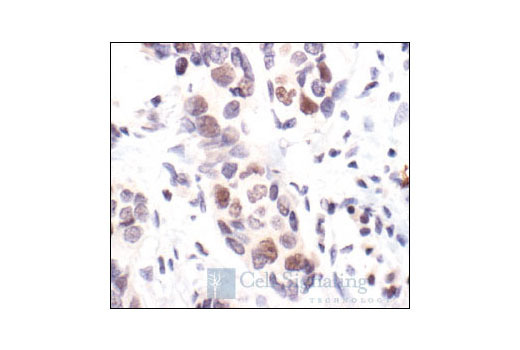 It plays a critical role in activation and growth in a number of cell types including hematopoietic stem cells, mast cells, melanocytes, and germ cells (3). 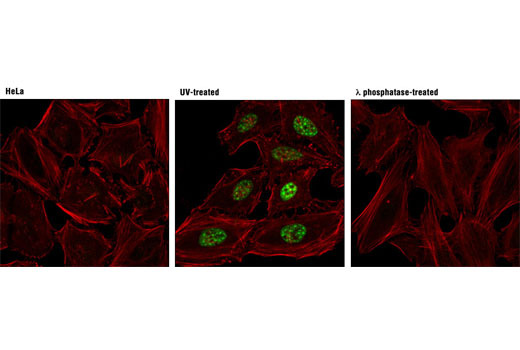 Upon binding with its stem cell factor (SCF) ligand, c-Kit undergoes dimerization/oligomerization and autophosphorylation. 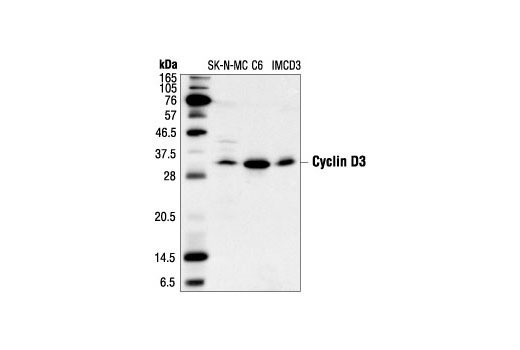 Activation of c-Kit results in the recruitment and tyrosine phosphorylation of downstream SH2-containing signaling components including PLCγ, the p85 subunit of PI3 kinase, SHP2, and CrkL (4). 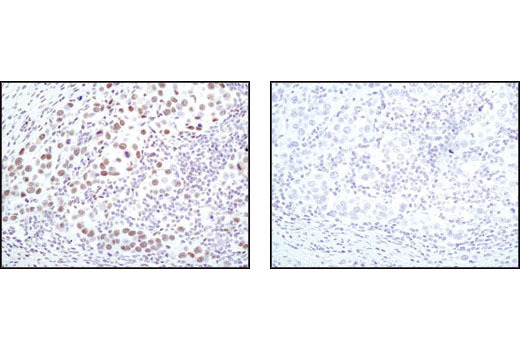 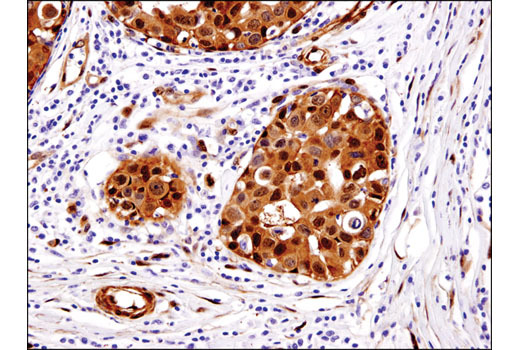 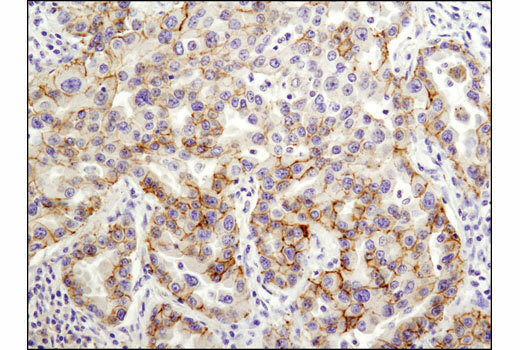 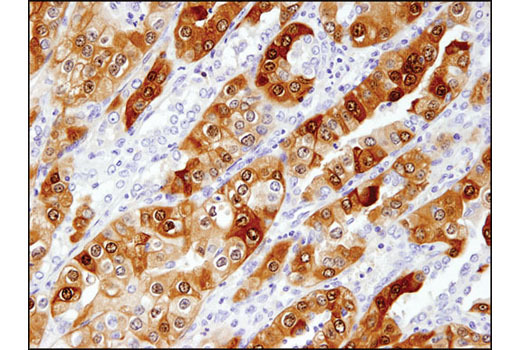 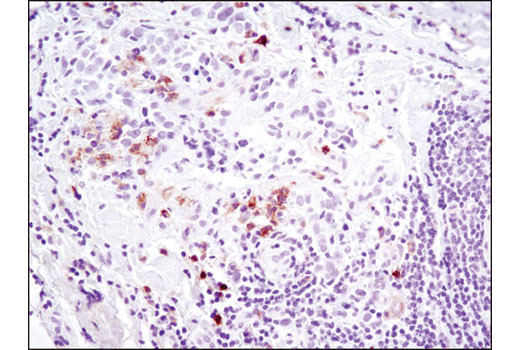 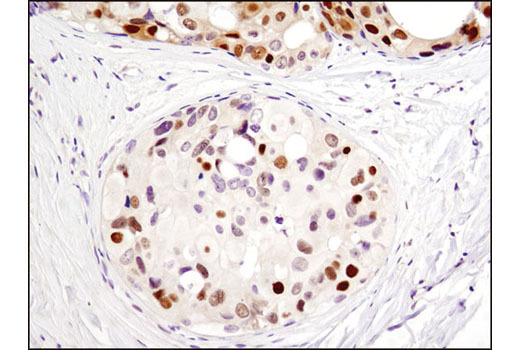 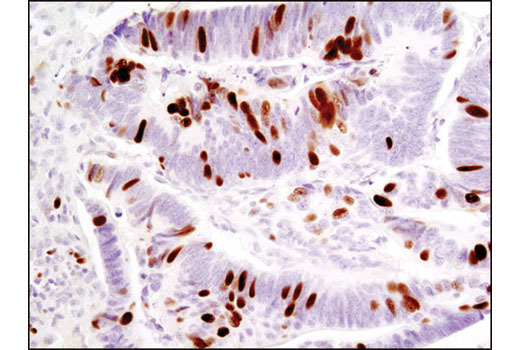 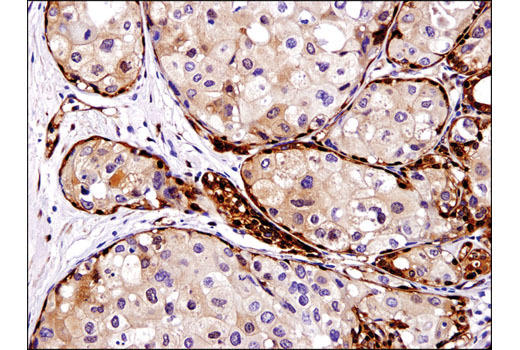 Molecular lesions that impair the kinase activity of c-Kit are associated with a variety of developmental disorders (5), and mutations that constitutively activate c-Kit can lead to pathogenesis of mastocytosis and gastrointestinal stromal tumors (6). 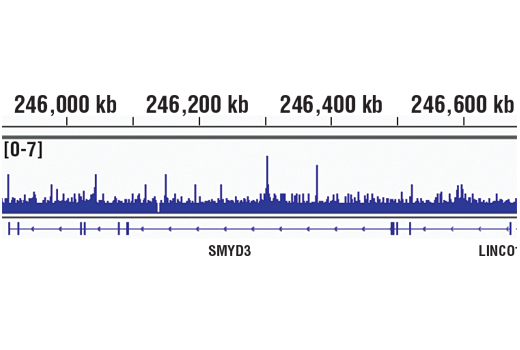 Tyr719 is located in the kinase insert region of the catalytic domain. 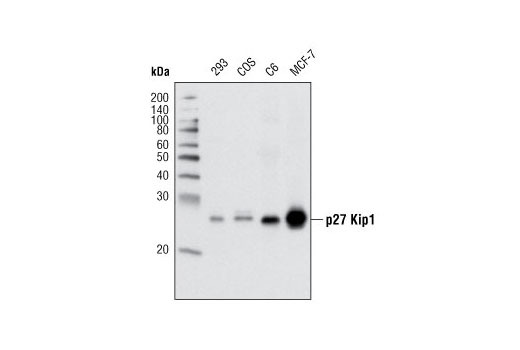 c-Kit phosphorylated at Tyr719 binds to the p85 subunit of PI3 kinase in vitro and in vivo (7). 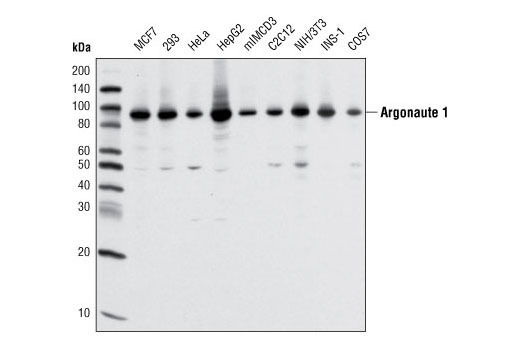 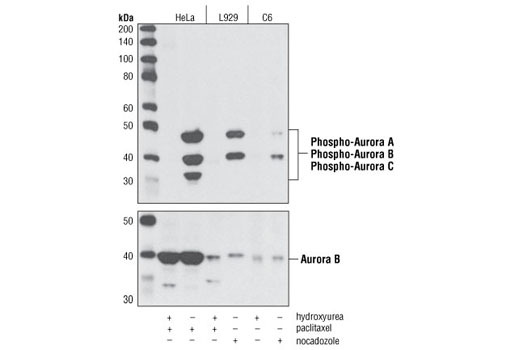 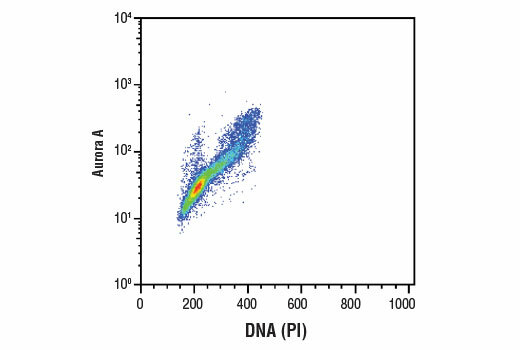 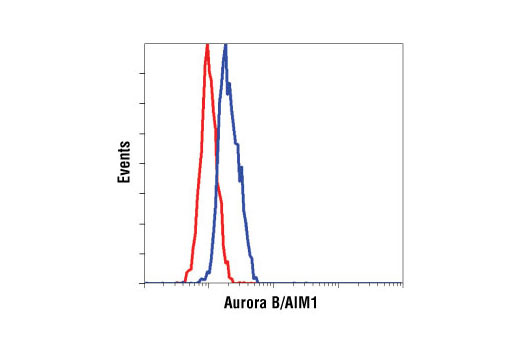 The Aurora Antibody Sampler Kit provides an economical means to investigate the G2/M phase of the cell cycle. 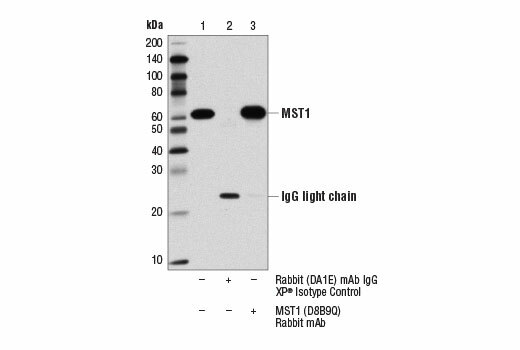 The kit contains enough primary and secondary antibodies to perform two western blots with each antibody. 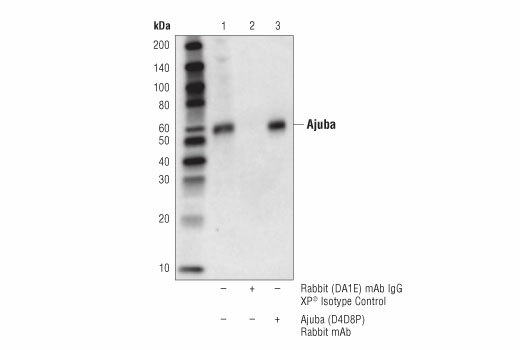 The DUB Antibody Sampler Kit offers an economical means of evaluating the presence and status of selected DUB enzymes. 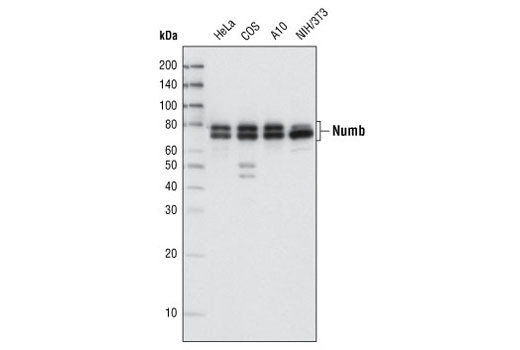 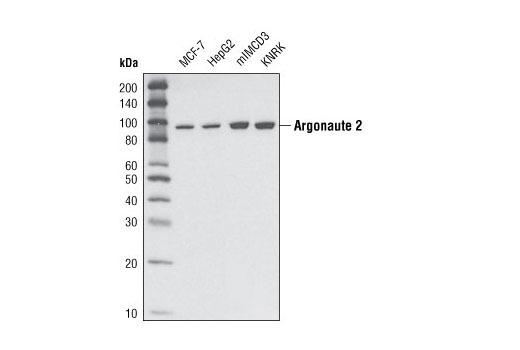 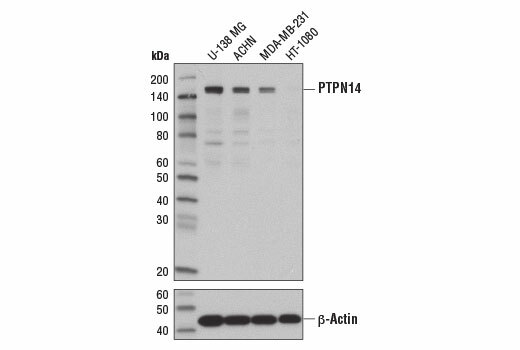 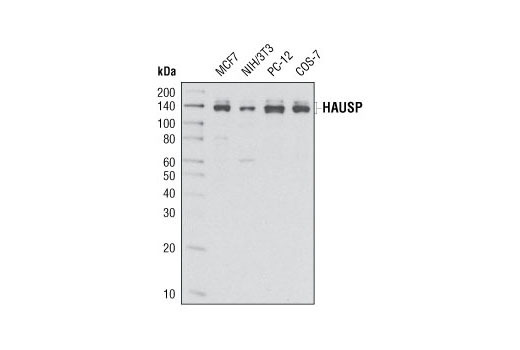 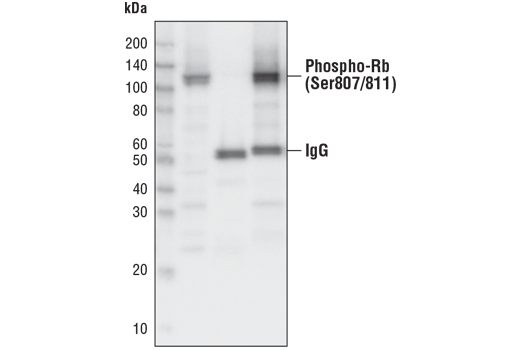 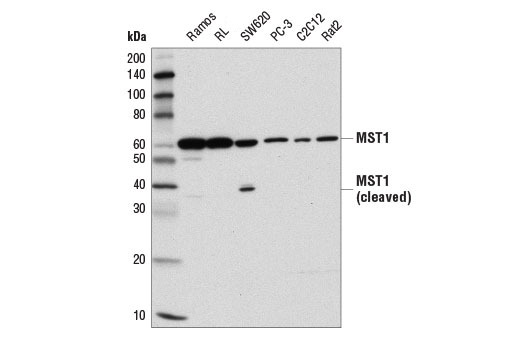 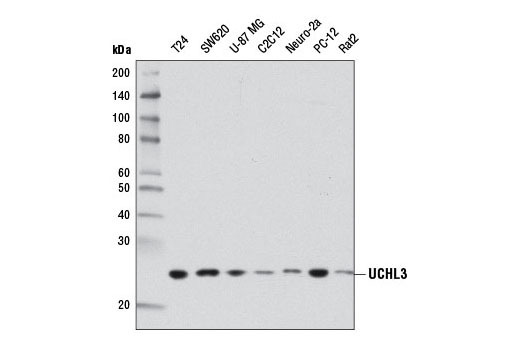 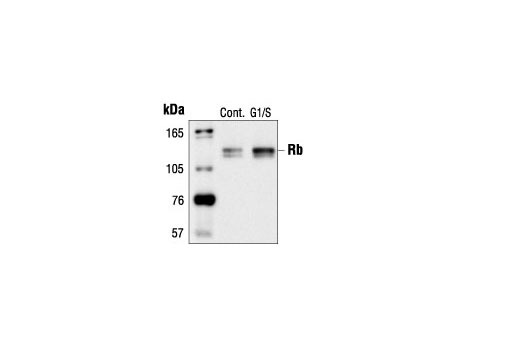 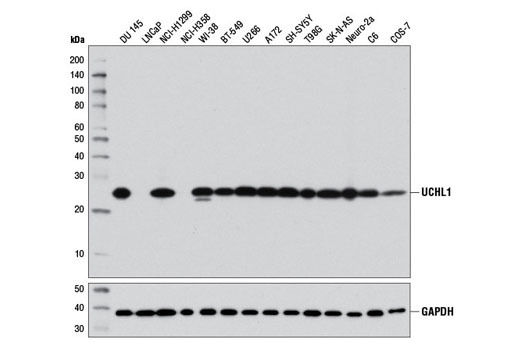 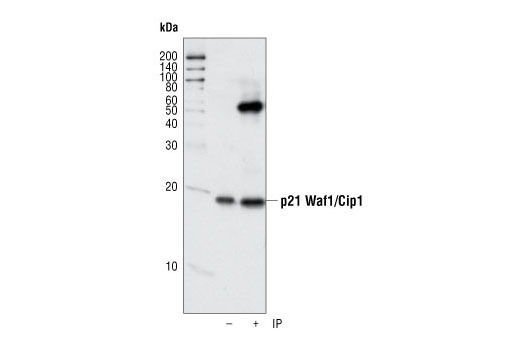 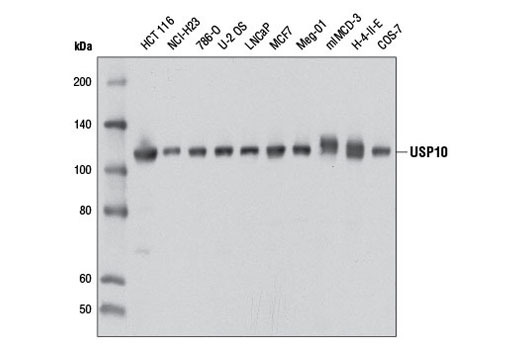 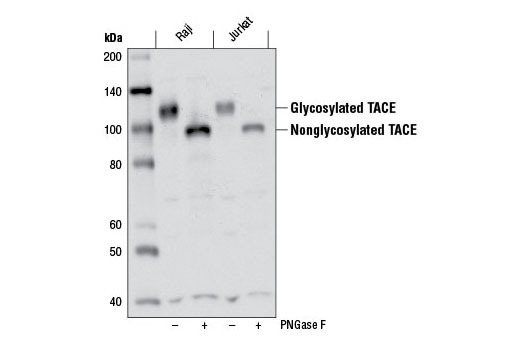 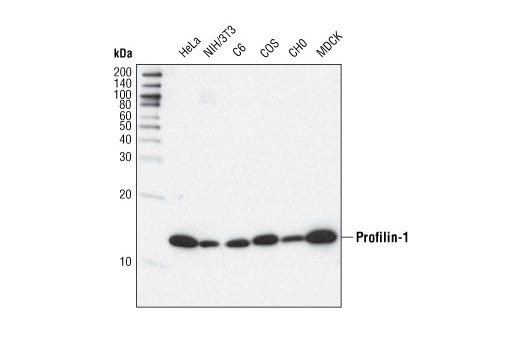 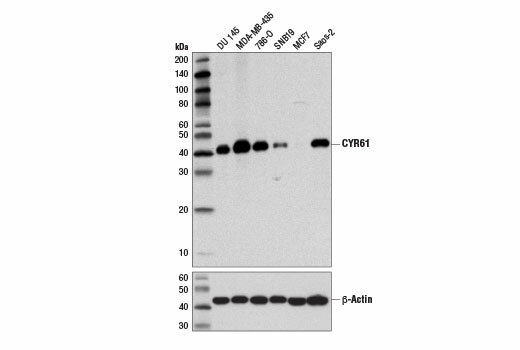 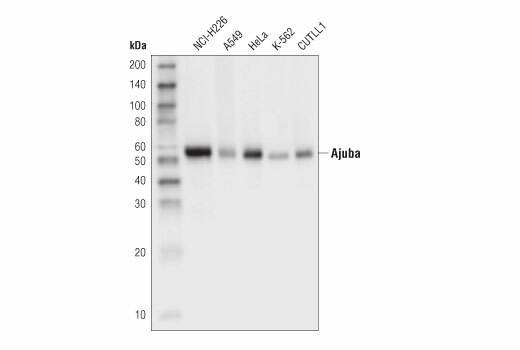 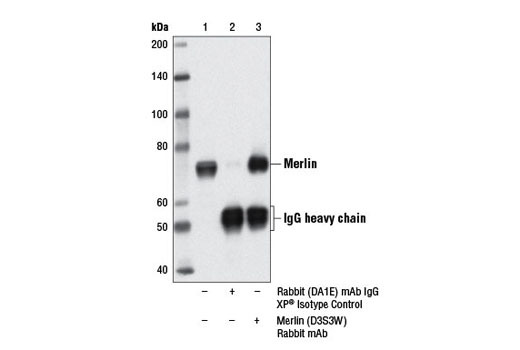 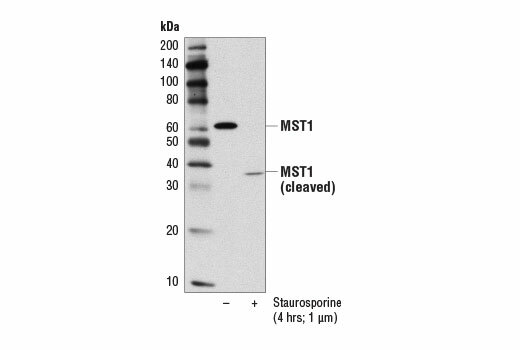 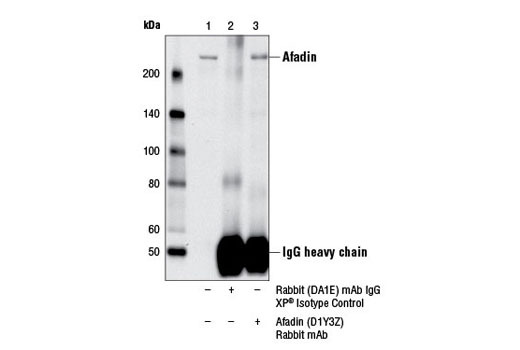 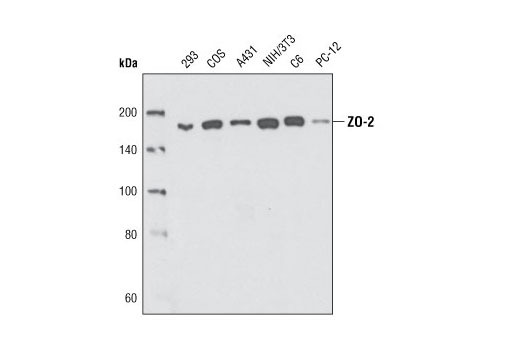 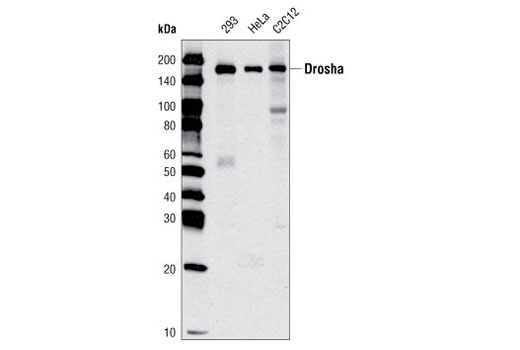 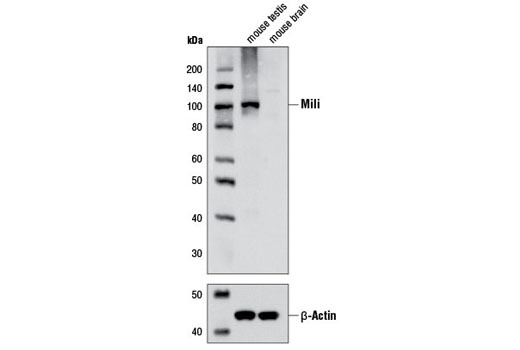 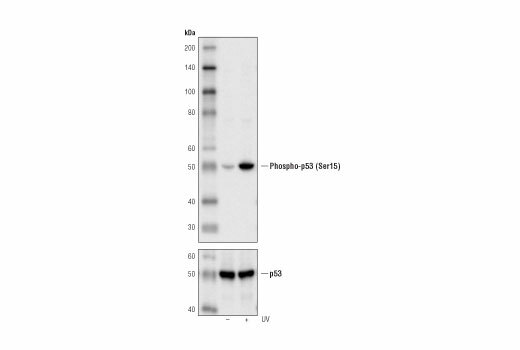 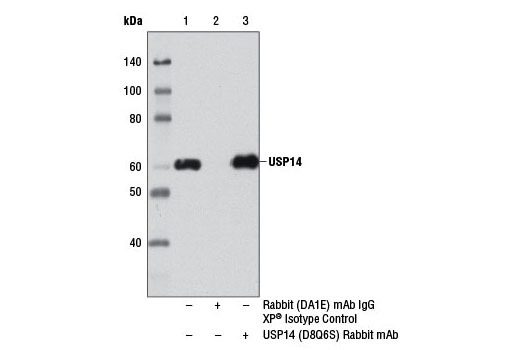 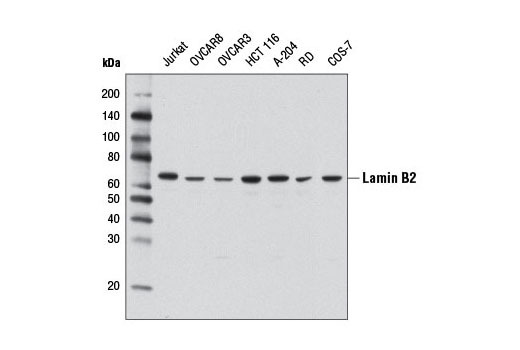 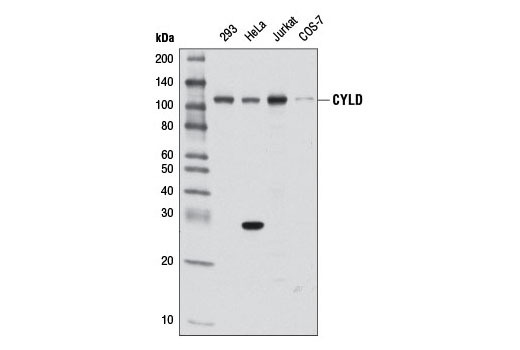 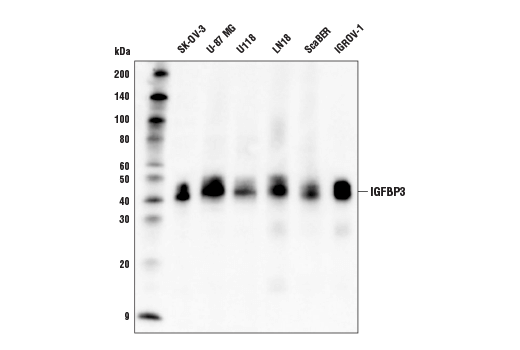 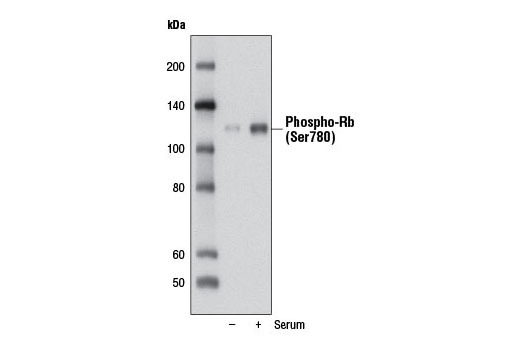 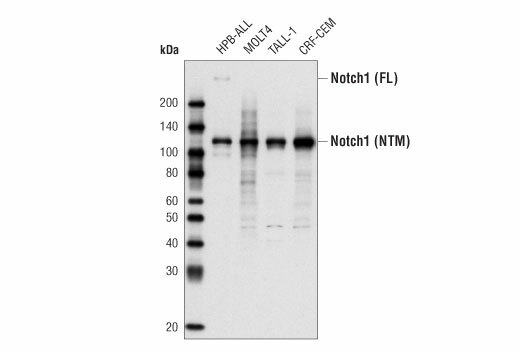 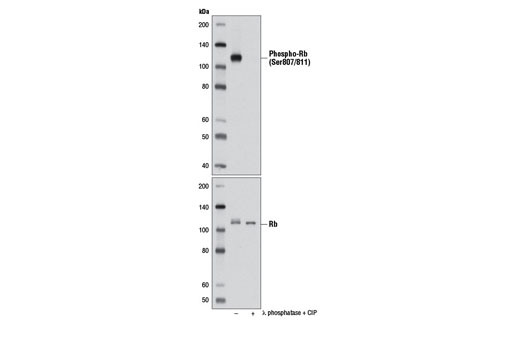 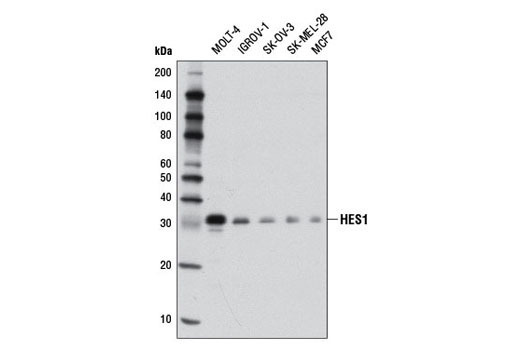 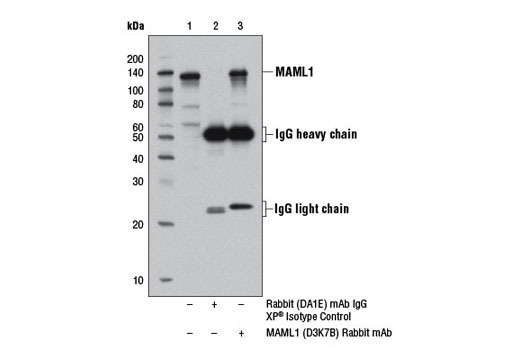 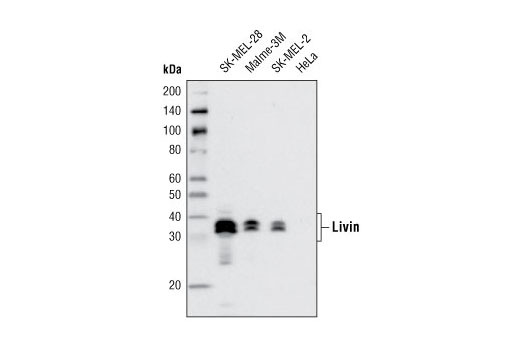 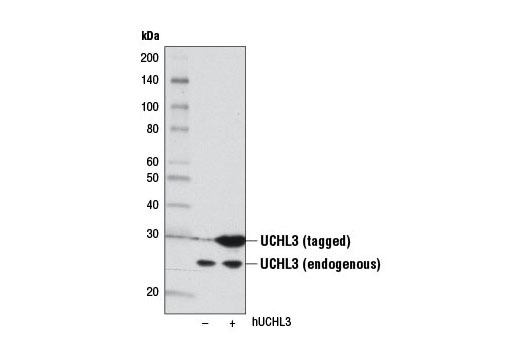 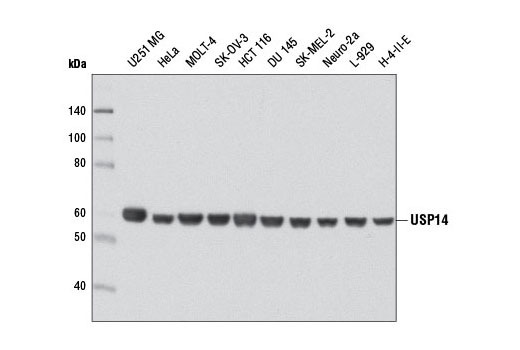 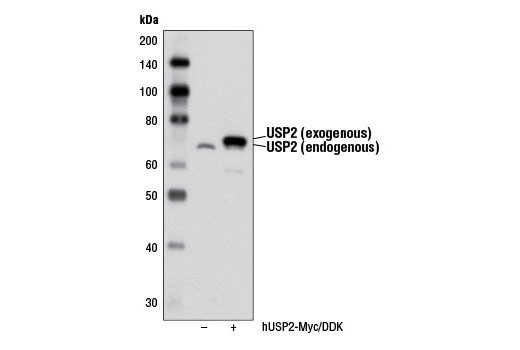 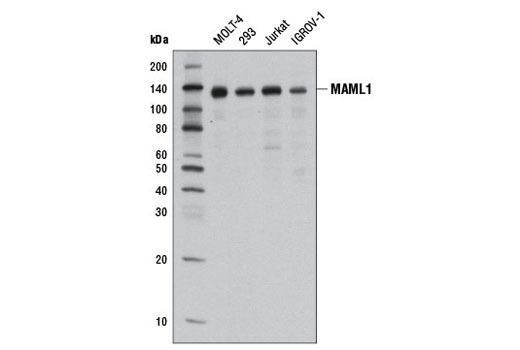 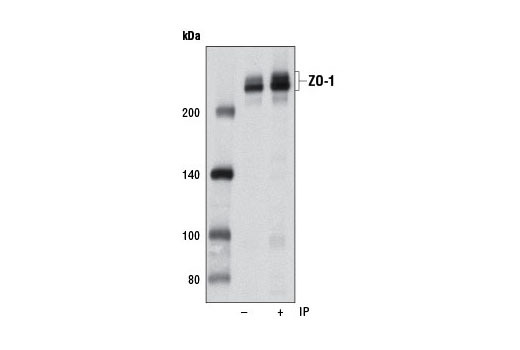 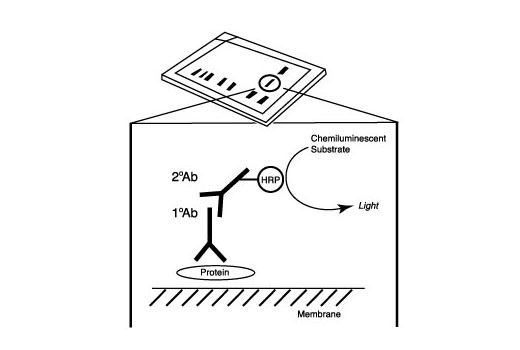 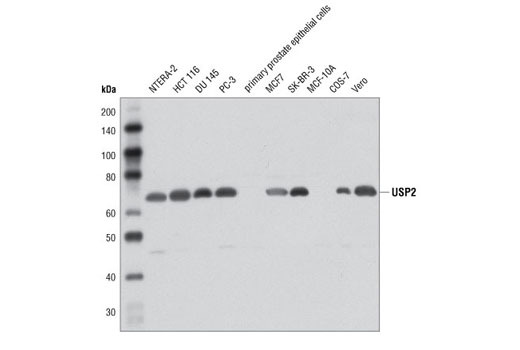 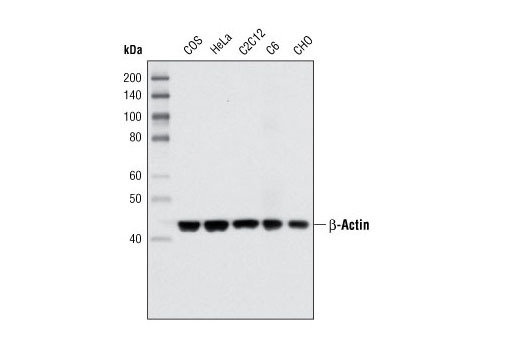 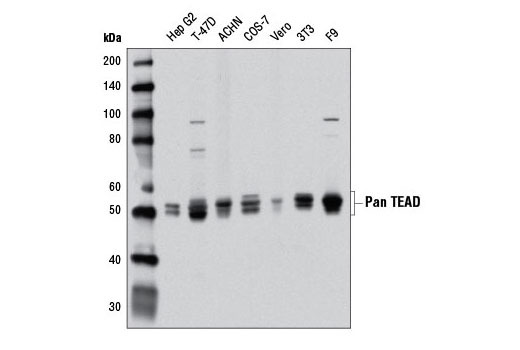 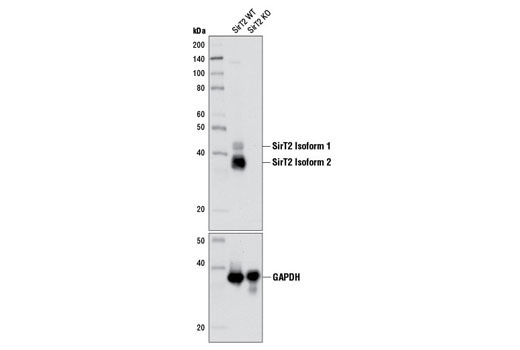 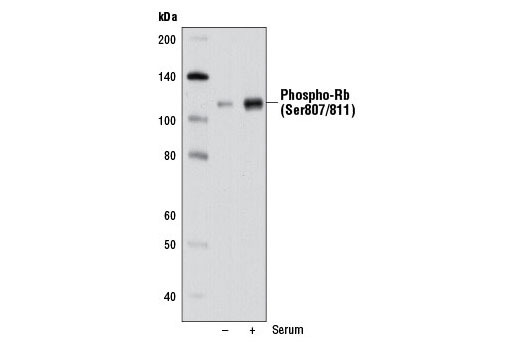 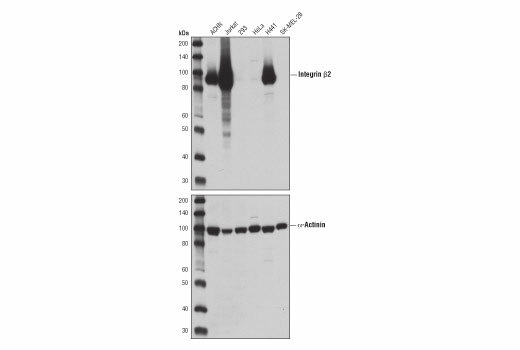 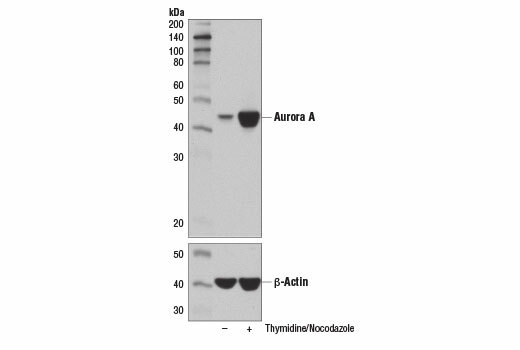 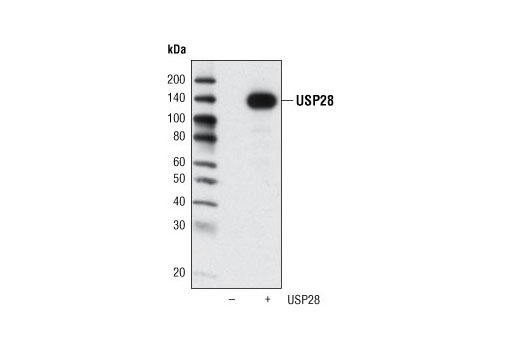 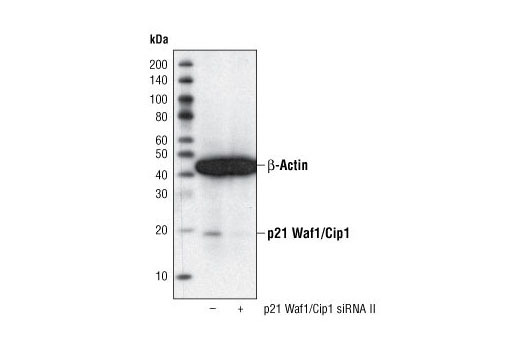 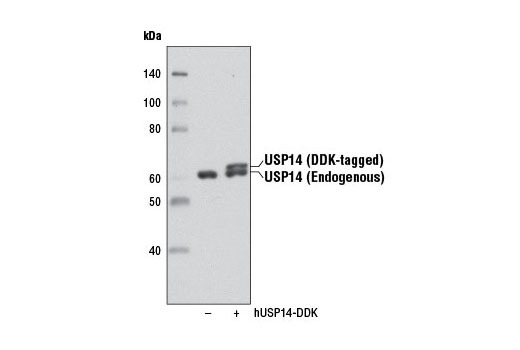 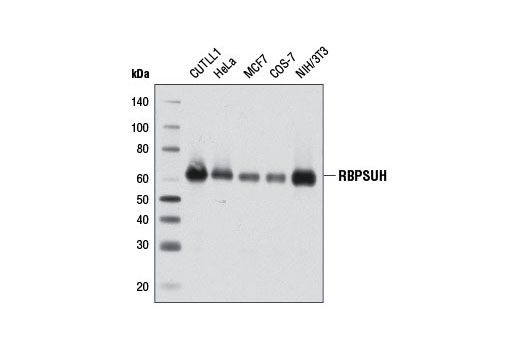 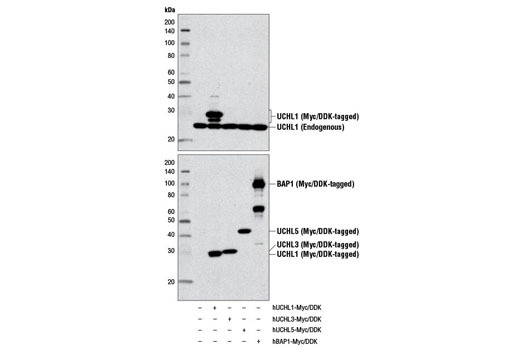 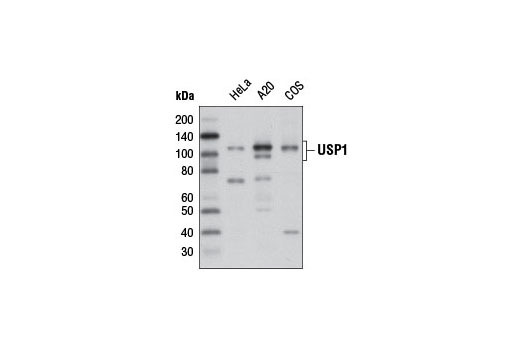 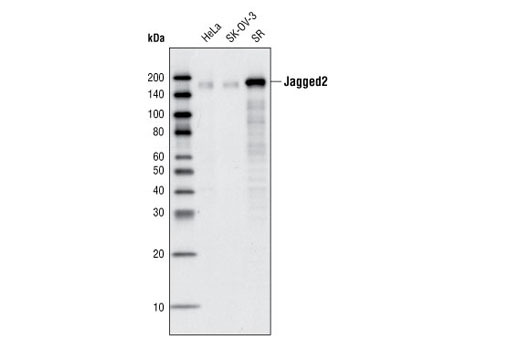 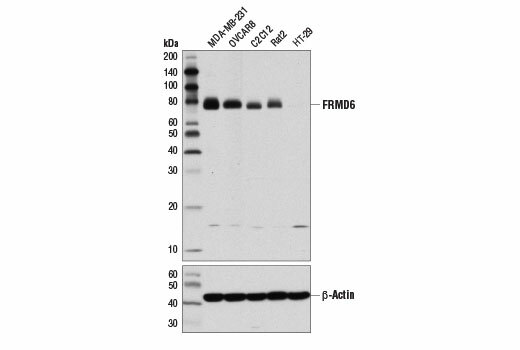 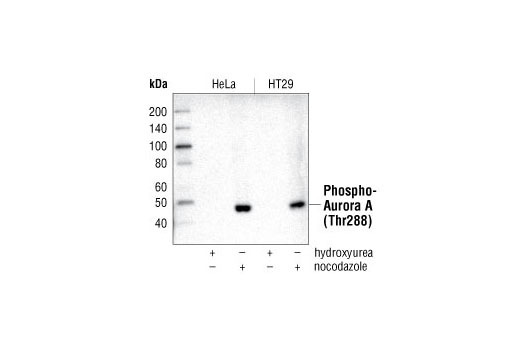 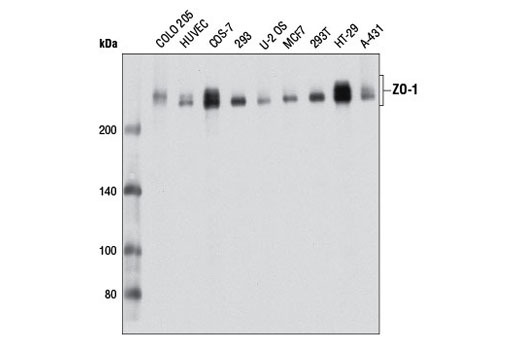 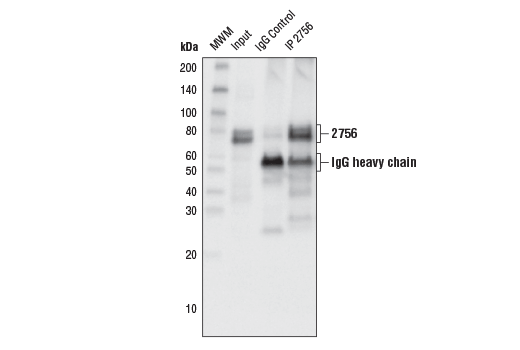 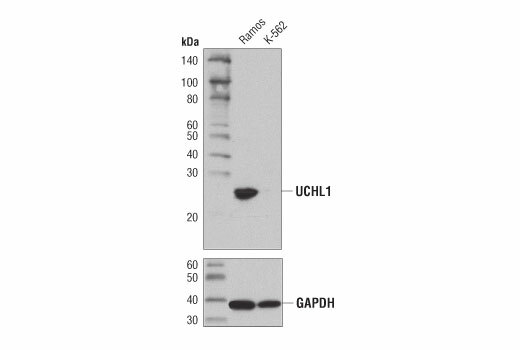 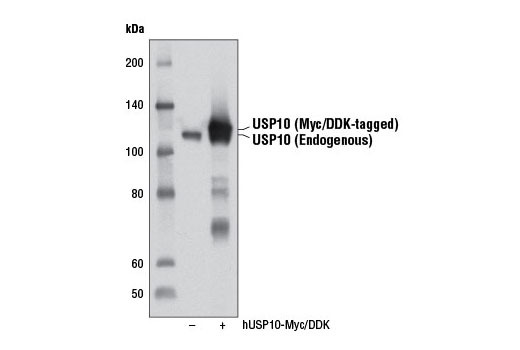 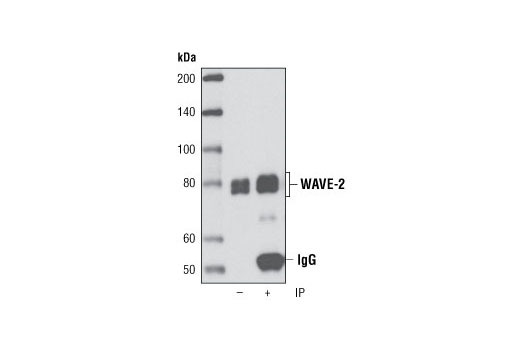 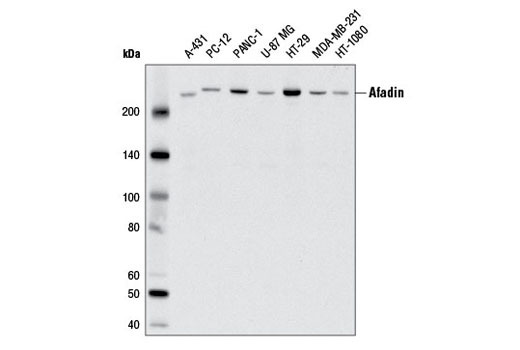 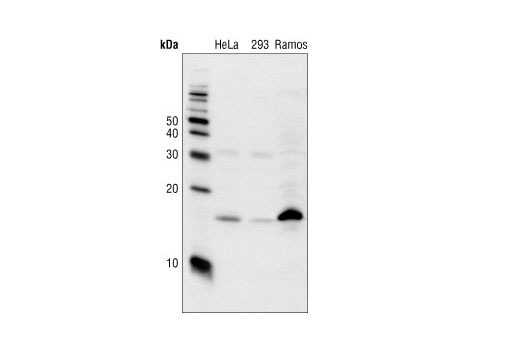 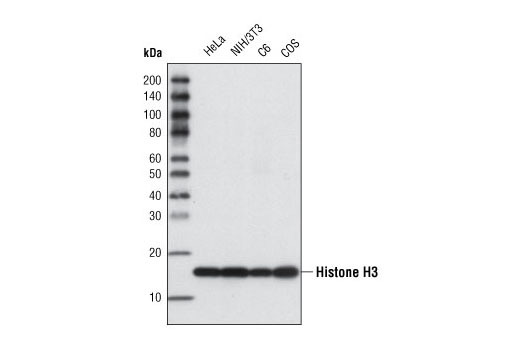 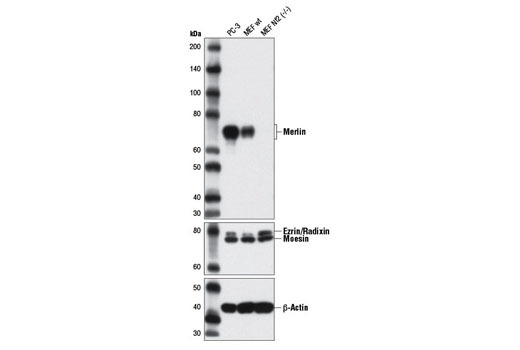 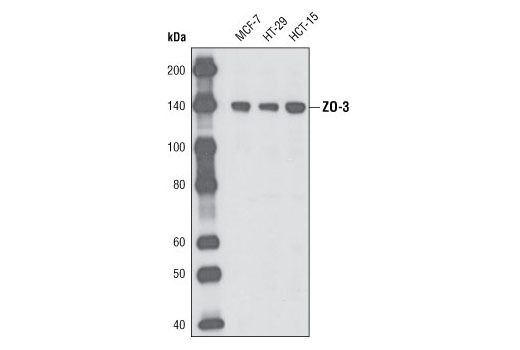 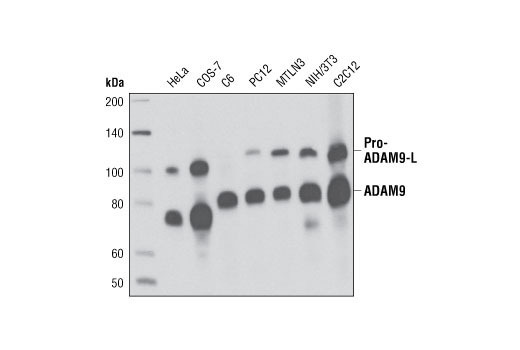 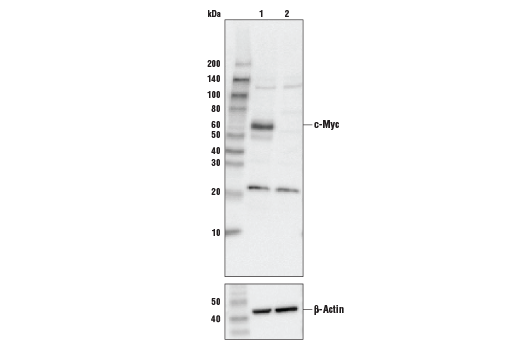 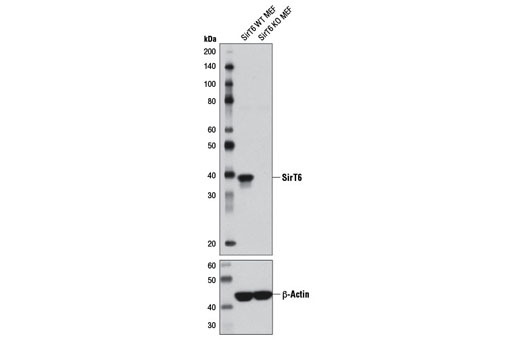 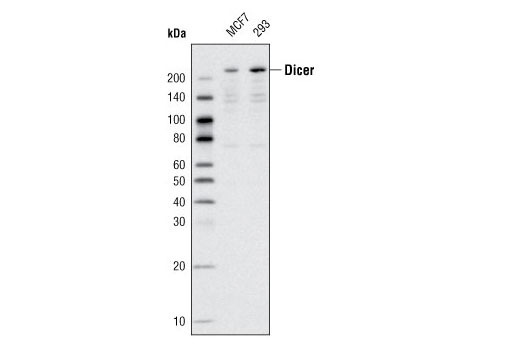 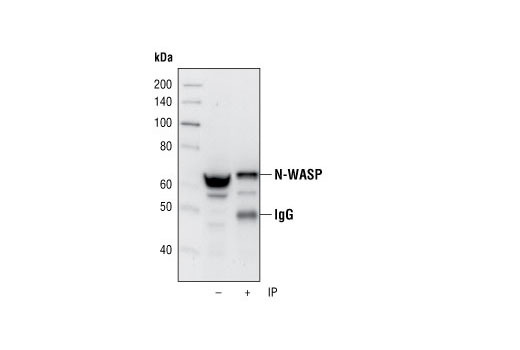 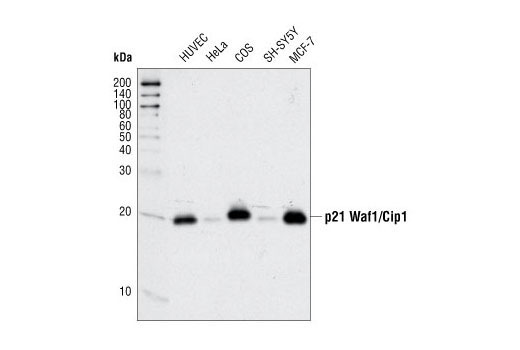 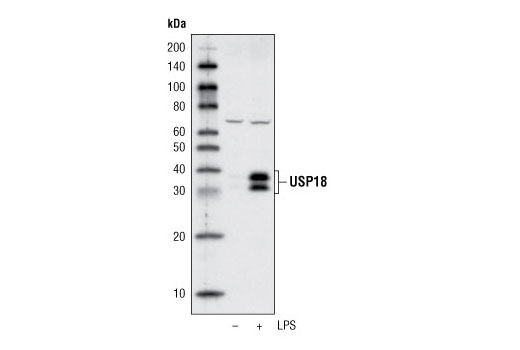 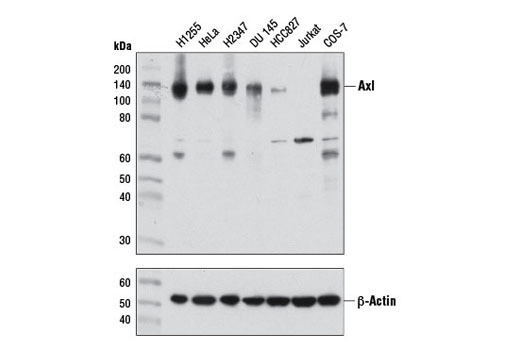 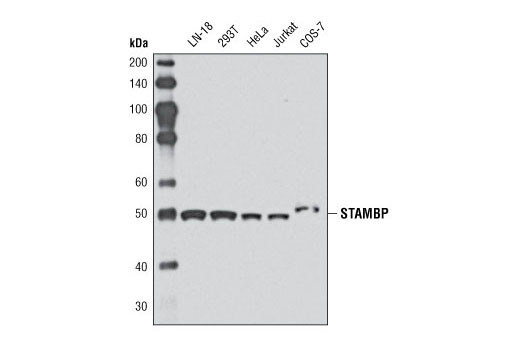 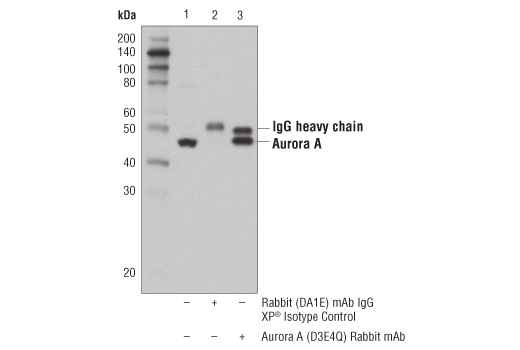 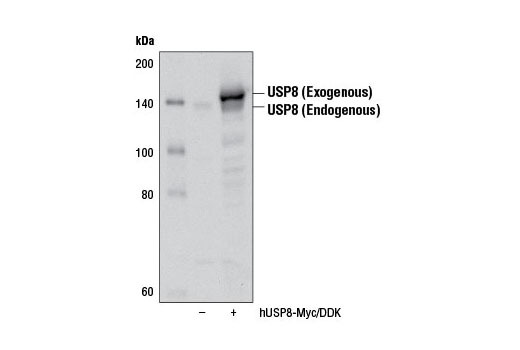 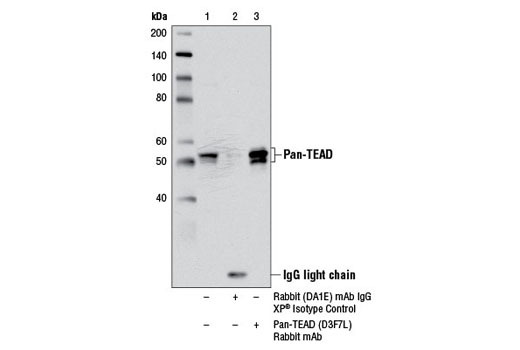 This kit contains enough primary antibody to perform two western blot experiments per primary. 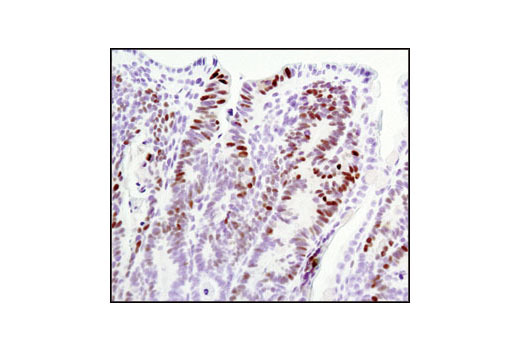 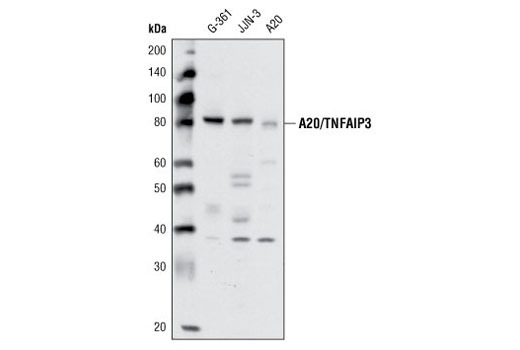 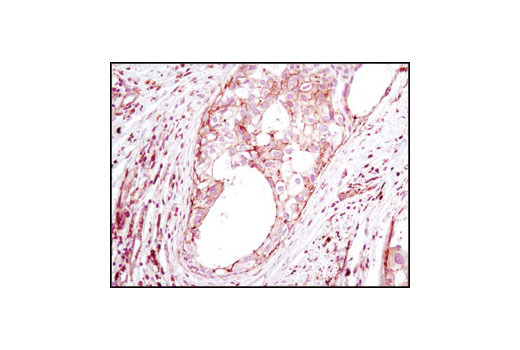 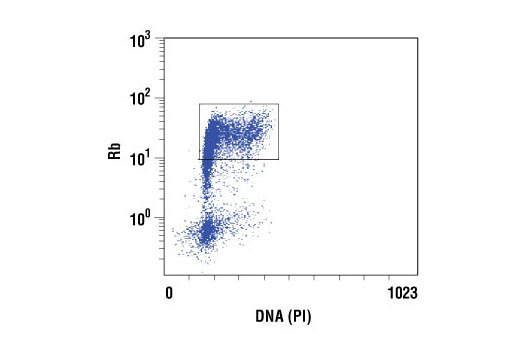 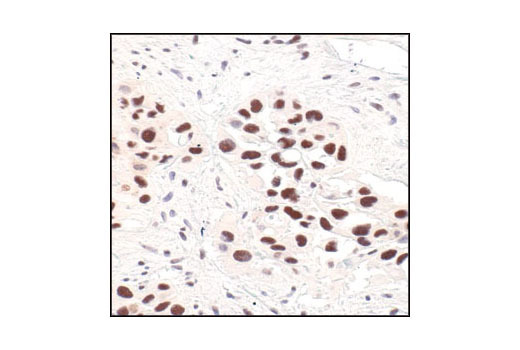 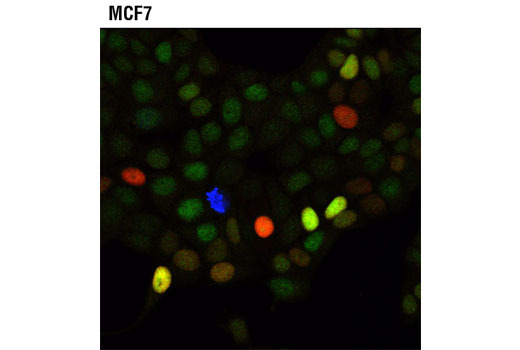 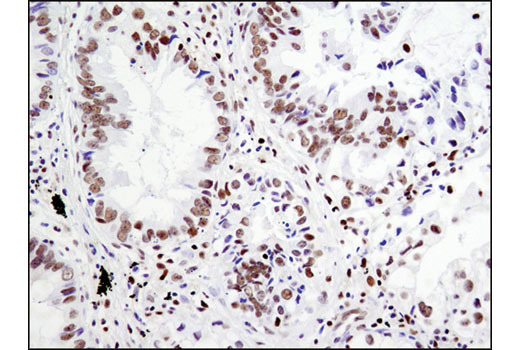 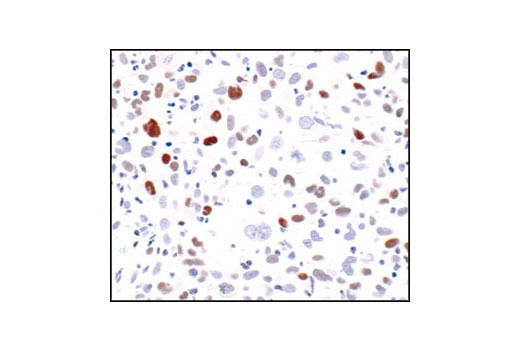 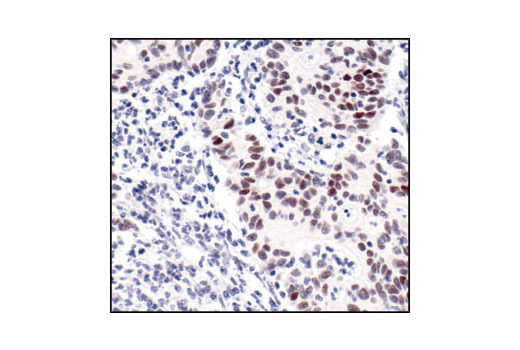 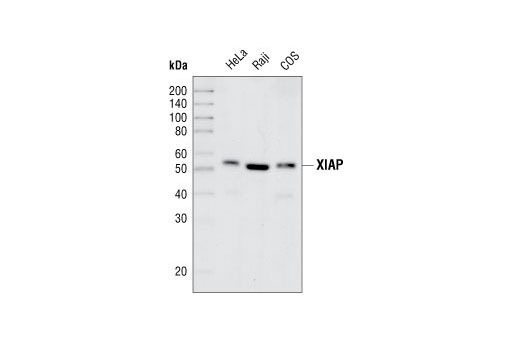 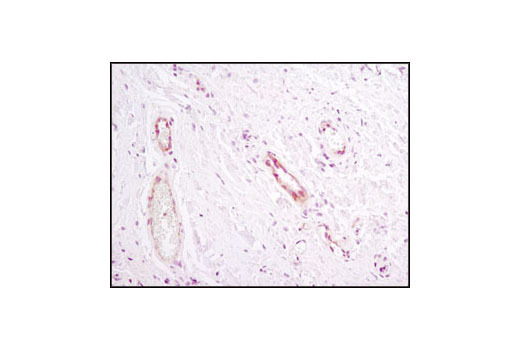 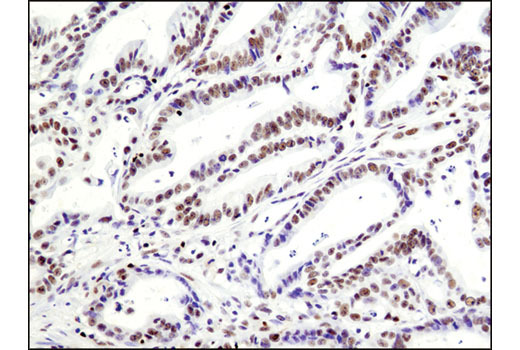 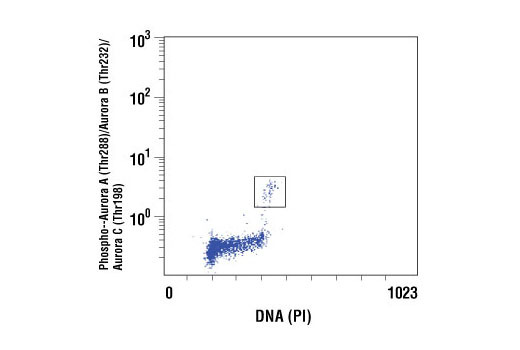 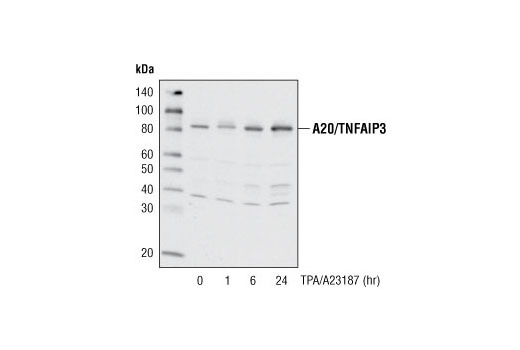 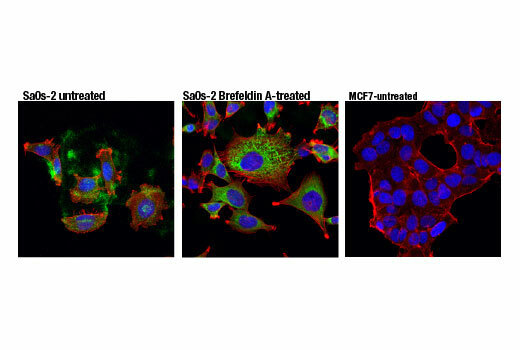 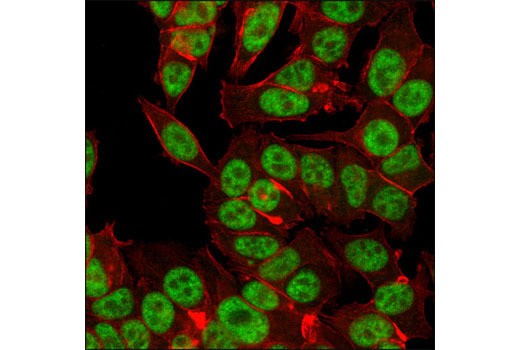 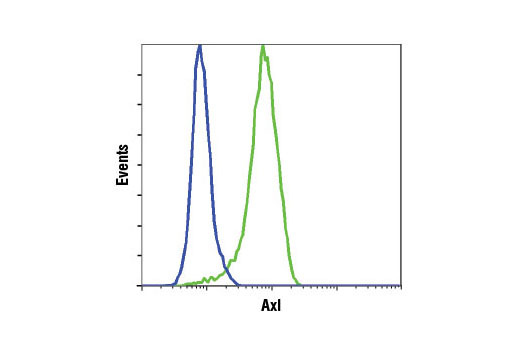 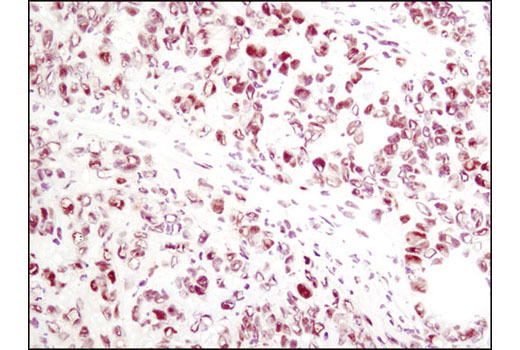 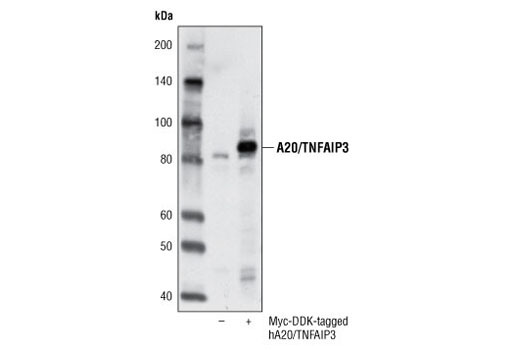 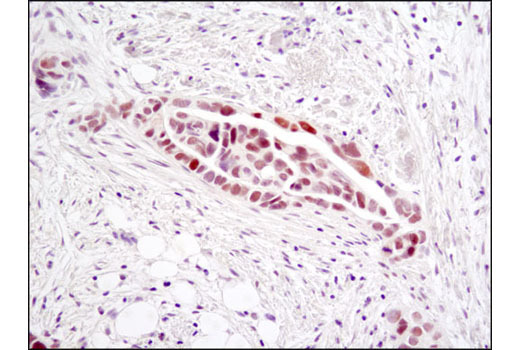 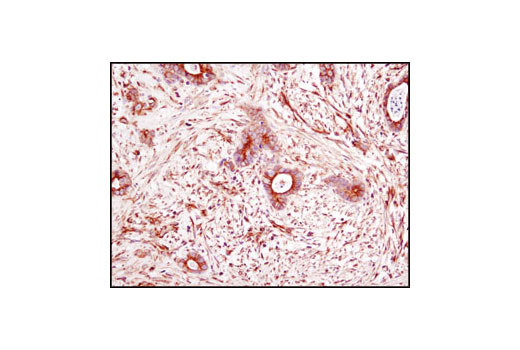 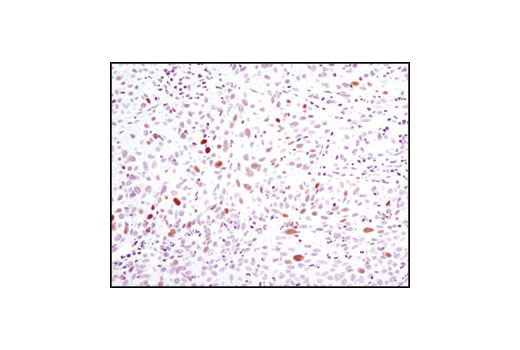 The IAP Family Antibody Sampler Kit provides an economical means to investigate the expression of various IAP family members within the cell. 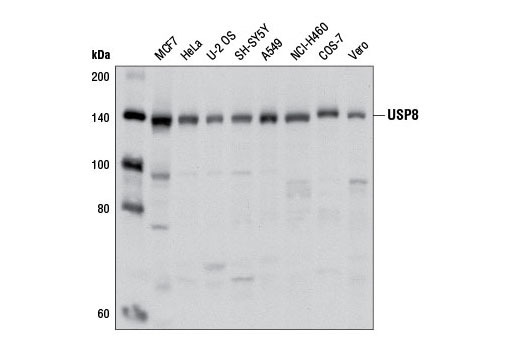 The kit contains enough primary and secondary antibodies to perform two Western blot experiments. 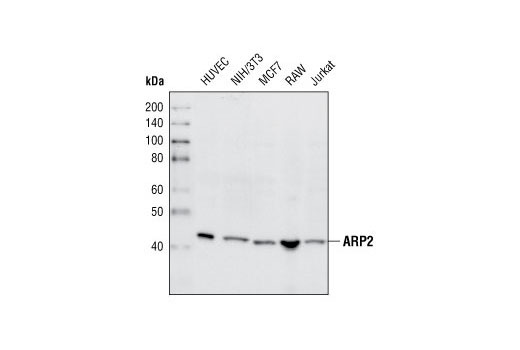 Background: The inhibitor of apoptosis protein (IAP) family consists of an evolutionarily conserved group of apoptosis inhibitors containing a conserved 70 amino acid BIR (baculovirus inhibitor repeat) domain (1,2). 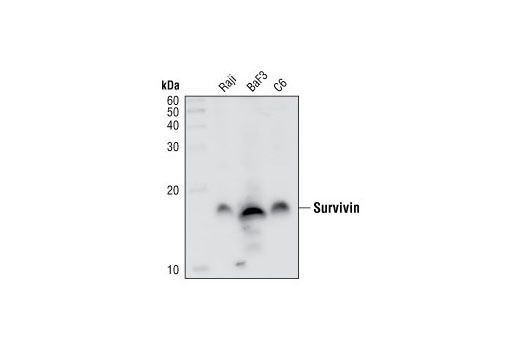 Human members of this family include c-IAP1, c-IAP2, XIAP, survivin, livin, and NAIP. 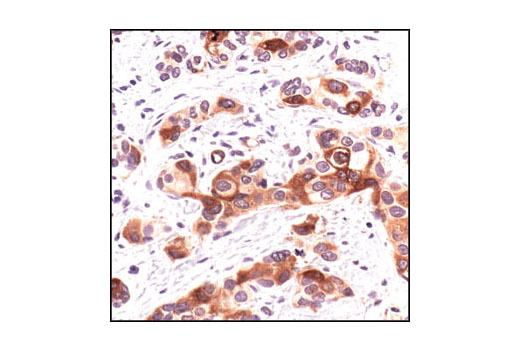 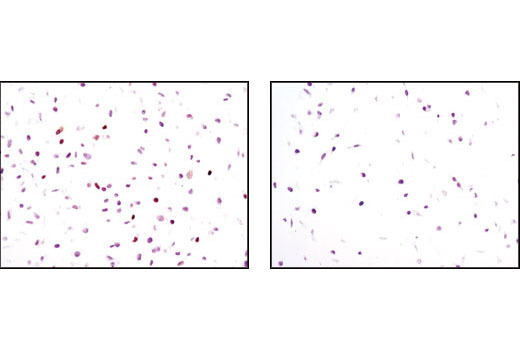 Overexpression of IAP family members, particularly survivin and livin, in cancer cell lines and primary tumors suggests an important role for these proteins in cancer progression (3-5). 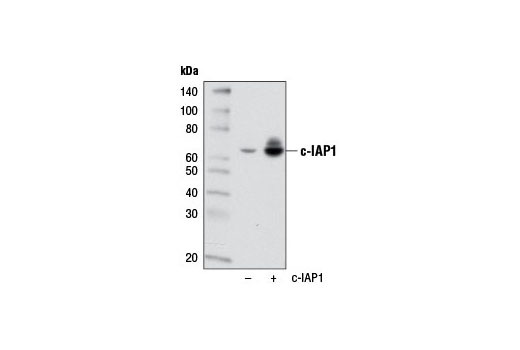 In general, the IAP proteins function through direct interactions to inhibit the activity of several caspases, including caspase-3, caspase-7, and caspase-9 (5,6). 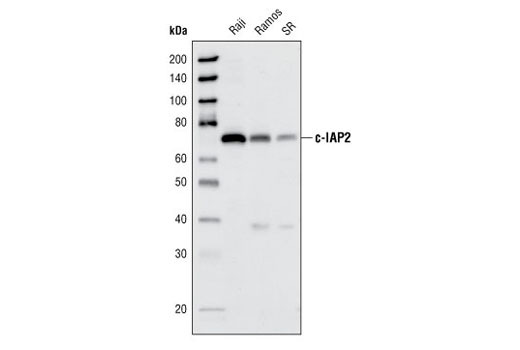 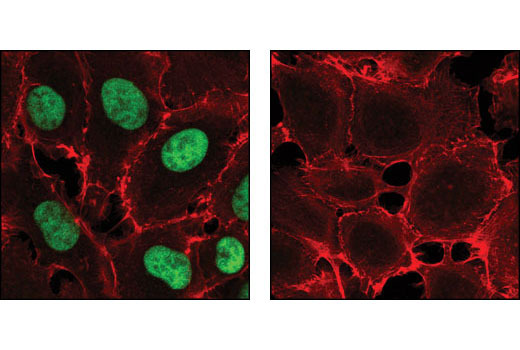 In addition, binding of IAP family members to the mitochondrial protein Smac blocks their interaction with caspase-9, thereby allowing the processing and activation of the caspase (2). 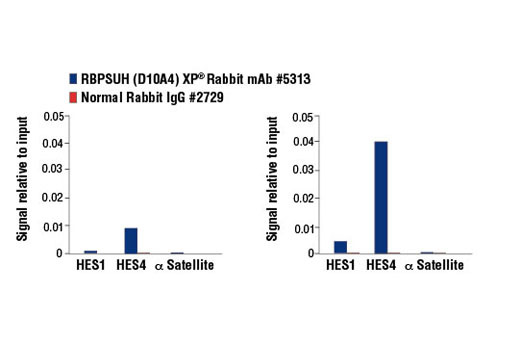 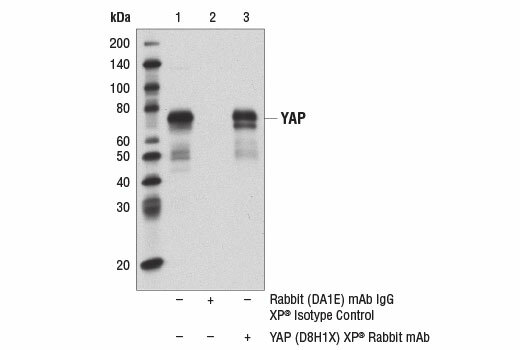 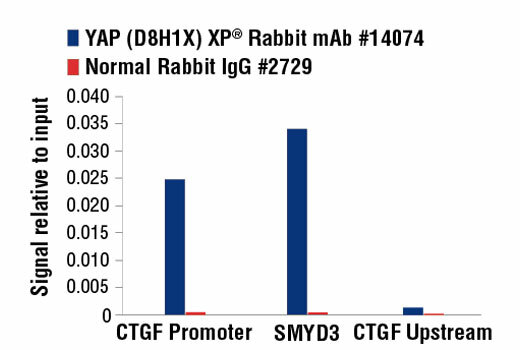 The YAP/TAZ Transcriptional Targets Antibody Sampler Kit provides an economical means of detecting proteins whose transcription is subject to regulation by the transcriptional co-activators YAP and/or TAZ. 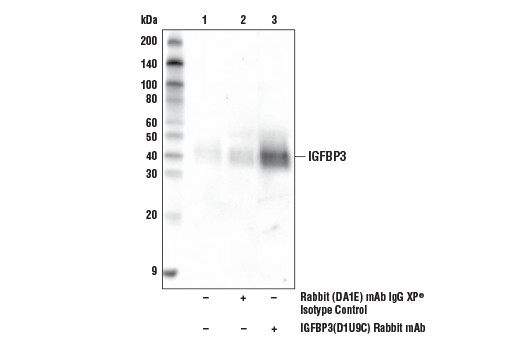 The kit provides enough antibody to perform two western blot experiments with each primary antibody. 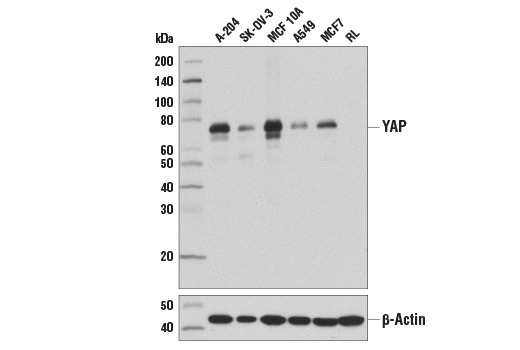 Background: YAP and TAZ (WWTR1) are transcriptional co-activators that play a central role in the Hippo Signaling pathway that regulates cell, tissue and organ growth. 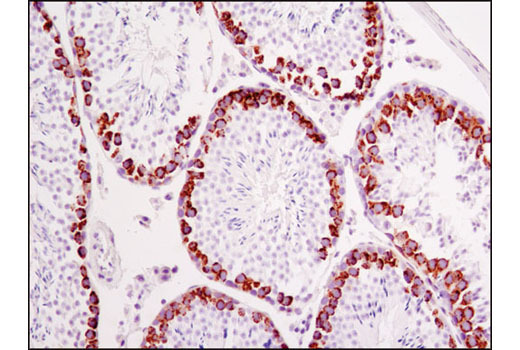 Under growth conditions, YAP and TAZ are translocated to the nucleus, where they interact with DNA-binding transcription factors (e.g., Transcriptional Enhanced Activation Domain [TEAD] proteins) to regulate the expression of genes that control fundamental aspects of cell function, such as proliferation and cell survival (1). 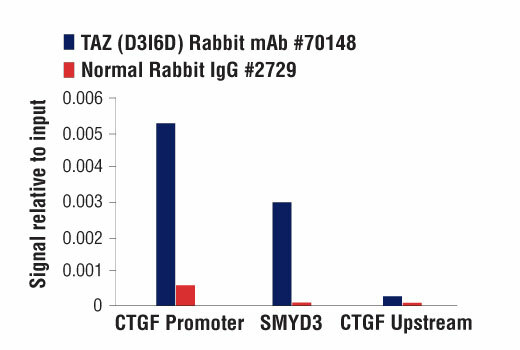 A number of genes have been experimentally confirmed as targets of transcriptional regulation by YAP and TAZ. 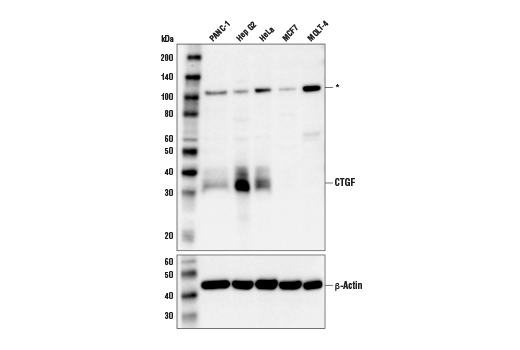 These include the extracellular matrix proteins CTGF, CYR61, and integrin β2 (2-4), the inhibitor of apoptosis protein (IAP) survivin (5), the mechano-sensitive nuclear envelope protein Lamin B2 (6), and the oncogenic receptor tyrosine kinase Axl (7).